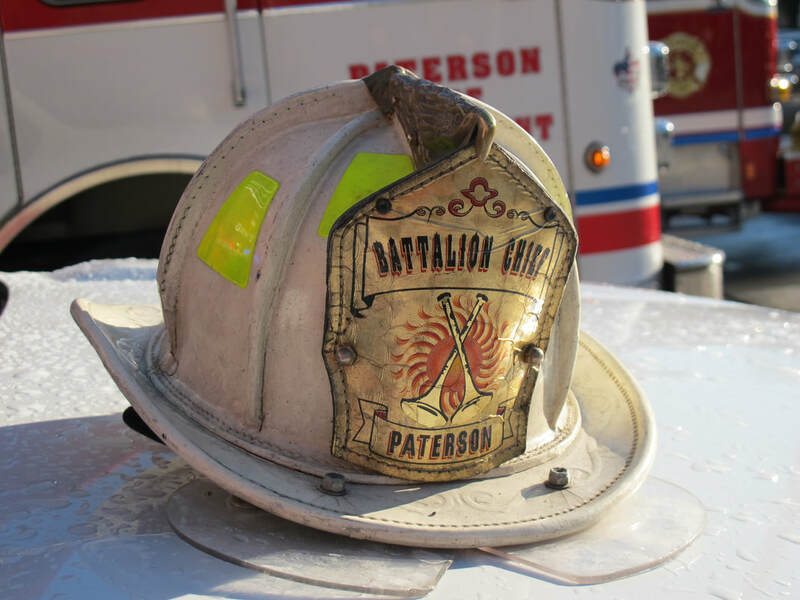 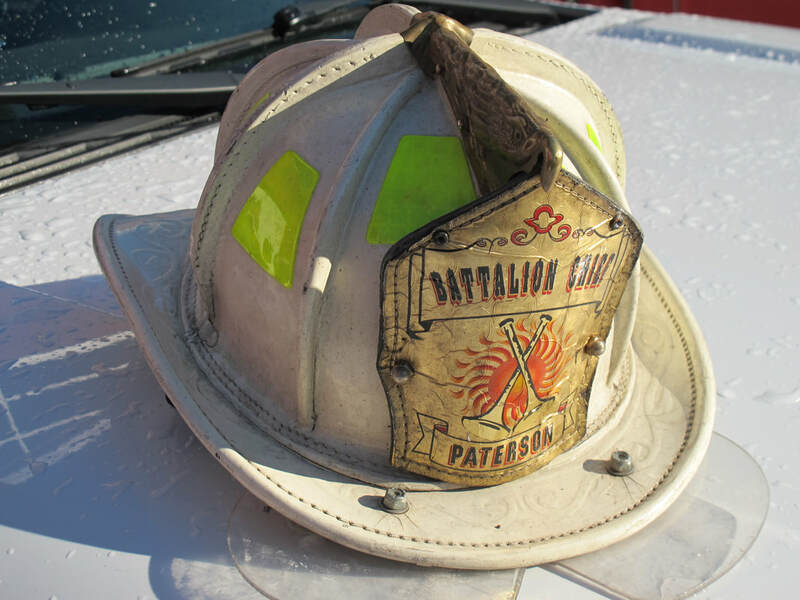 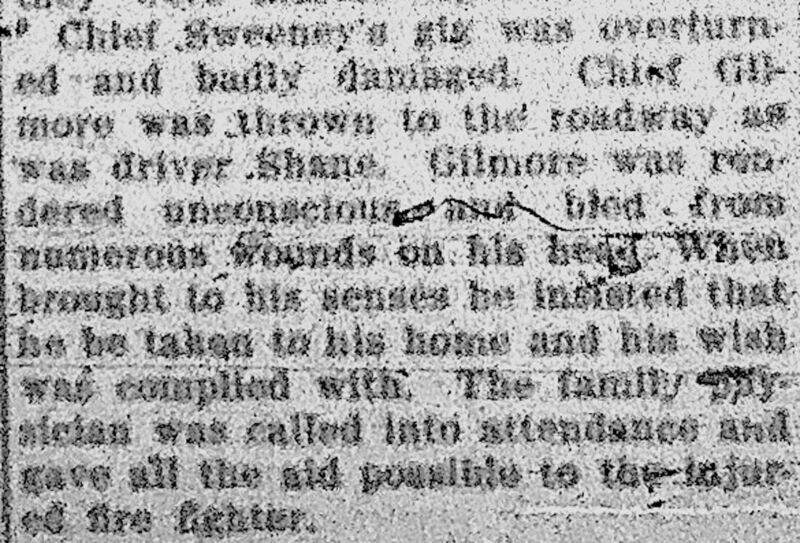 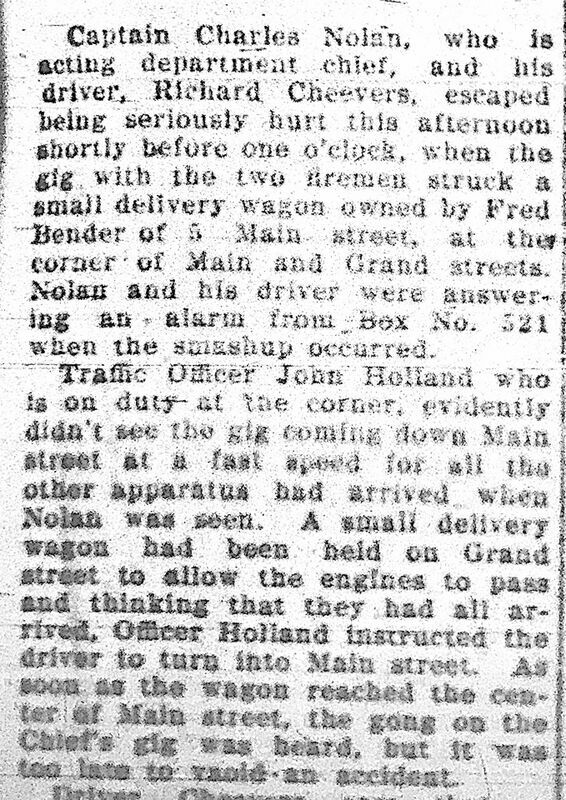 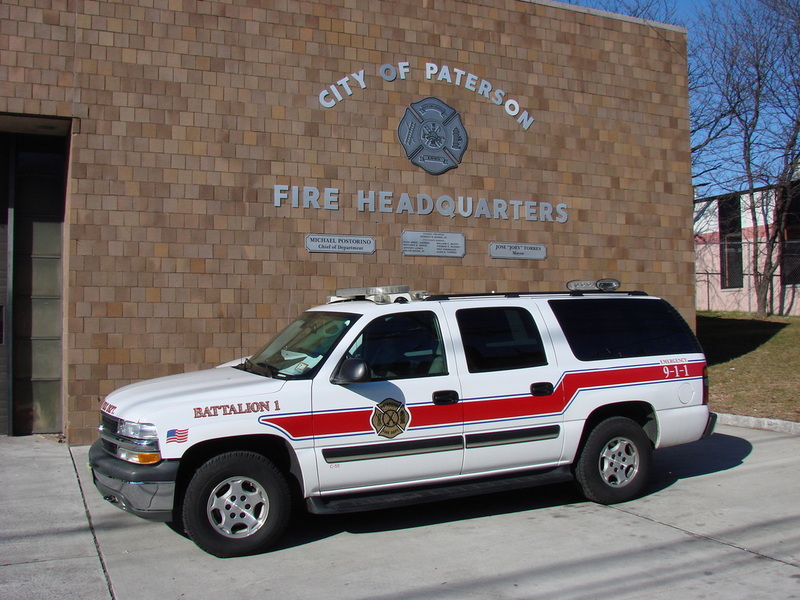 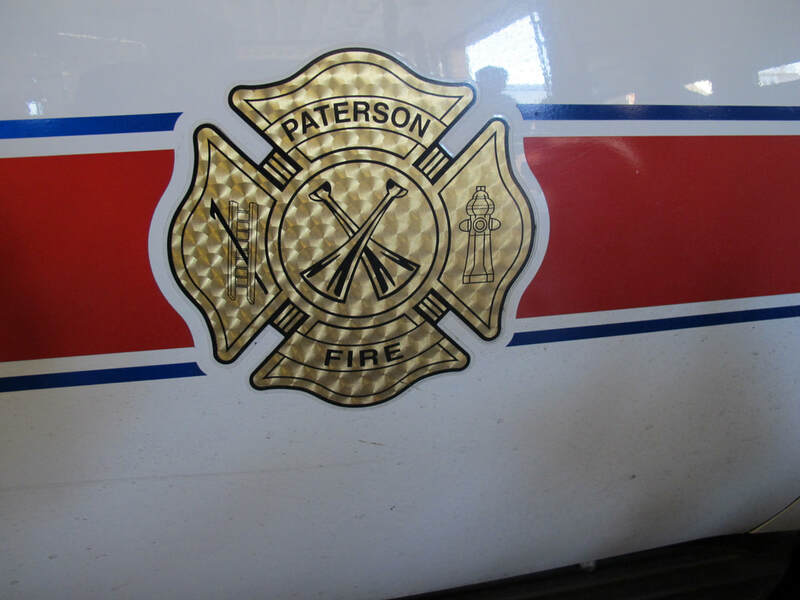 Of course when the paid Paterson Fire Department began inn 1890 all apparatus including the vehicles used to transport Chief Engineers were horse drawn. 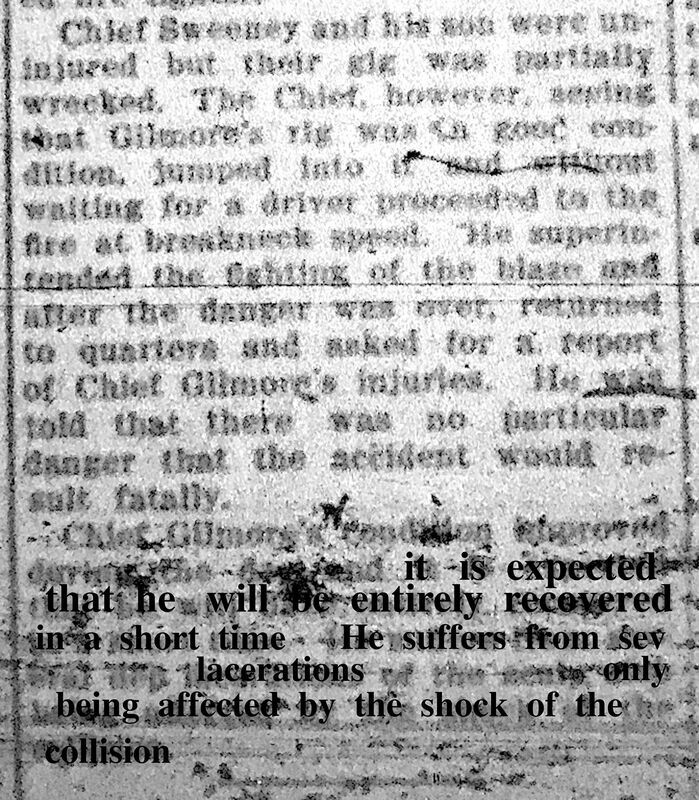 The term "GIG" originally refered to a light two-wheeled carriage pulled by one horse. 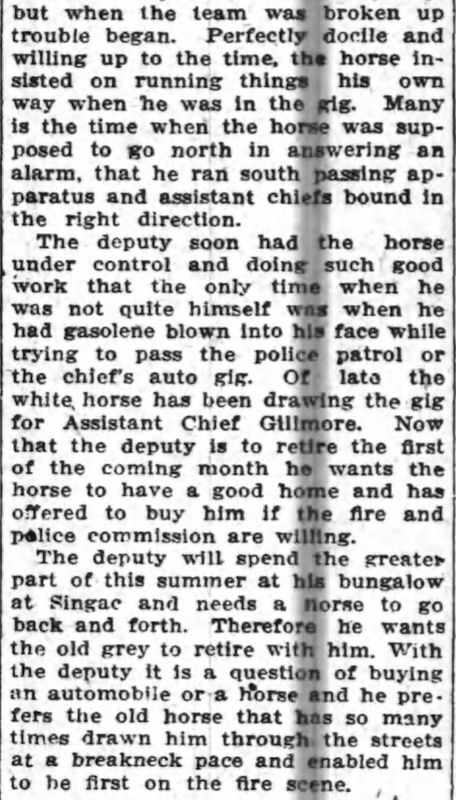 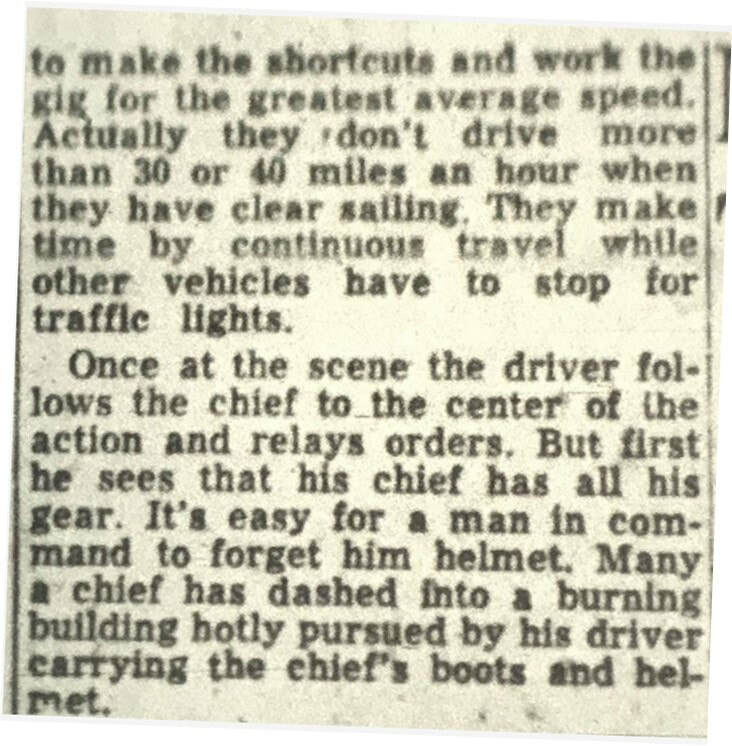 However, the term has withstood time and continues to be applied to motorized vehicles used to transport Chiefs. 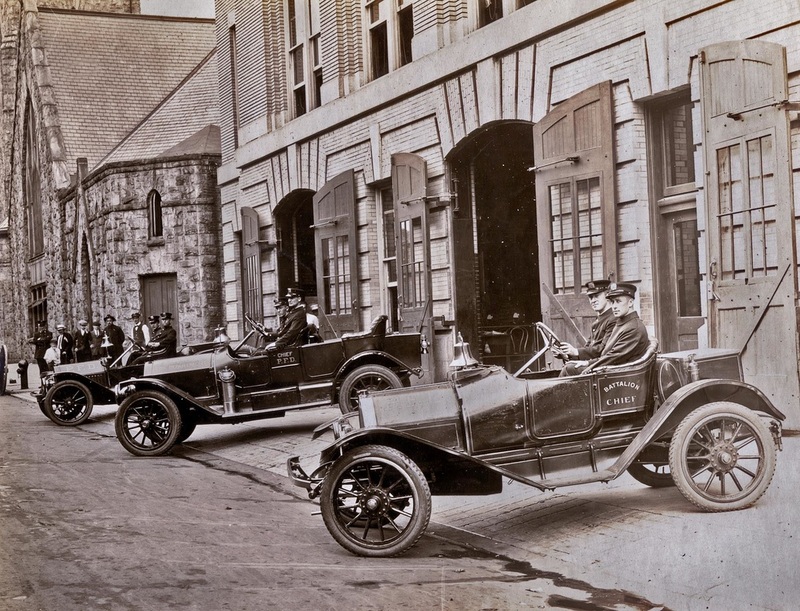 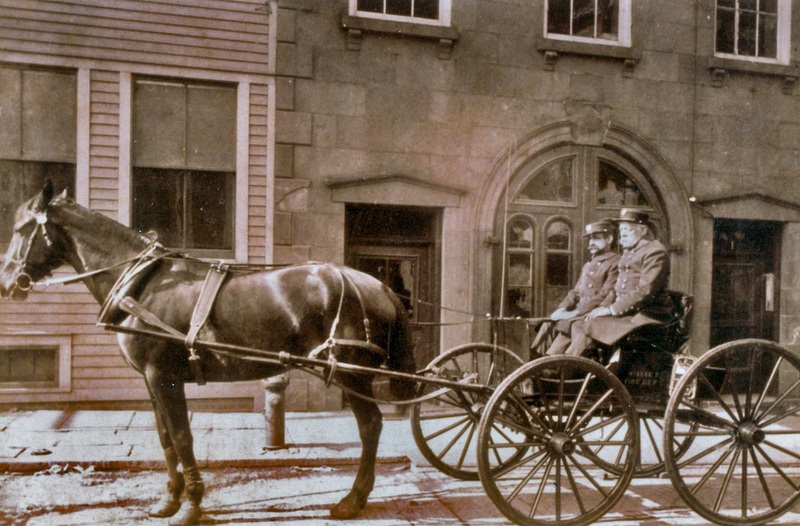 Chief John Stagg and driver George Pfitzenmeier in their gig in from of the 10 Hotel Street (Later renamed Hamilton Street) Headquarters (early 1900 photo). 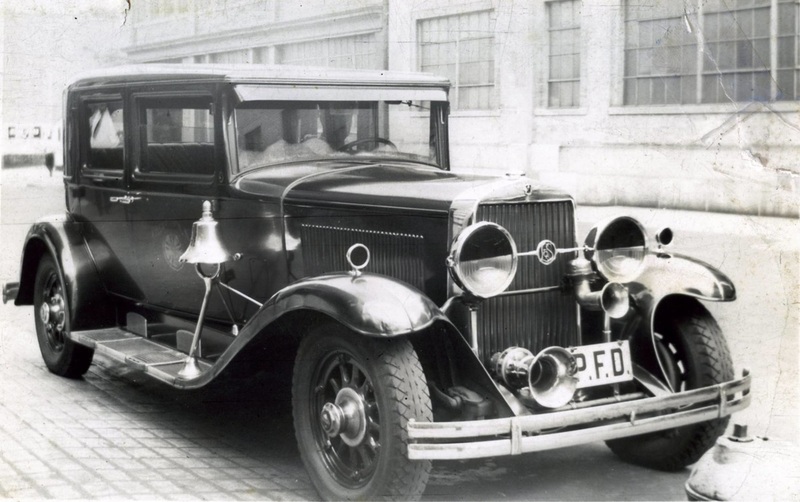 Notice Dietz Fire King Lantern at rear. 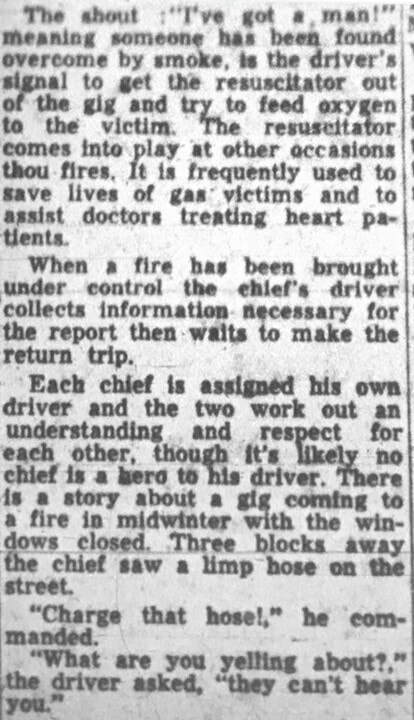 June 8, 1912: Department reorganizes from 1 chief, 1 Assistant Chief and 1 Deputy Chief to one Chief and two Battalion Chiefs. 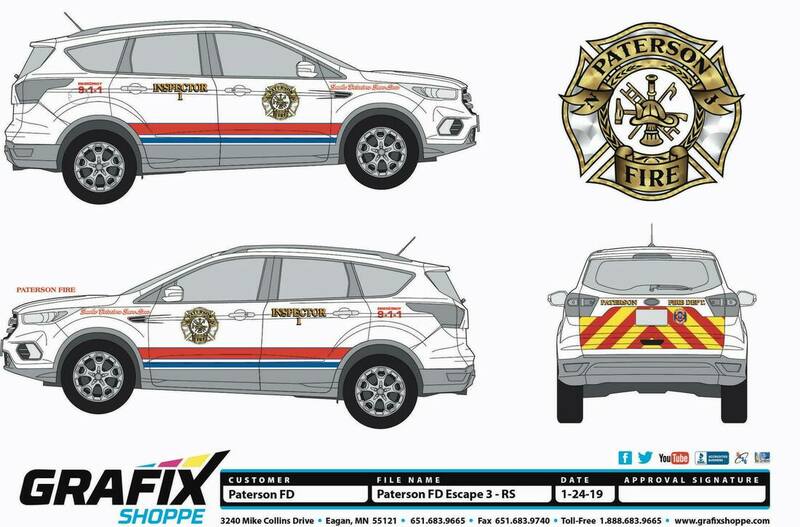 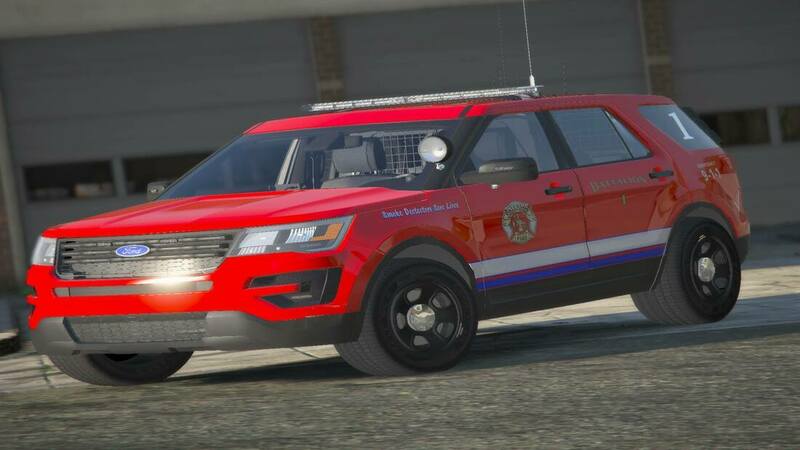 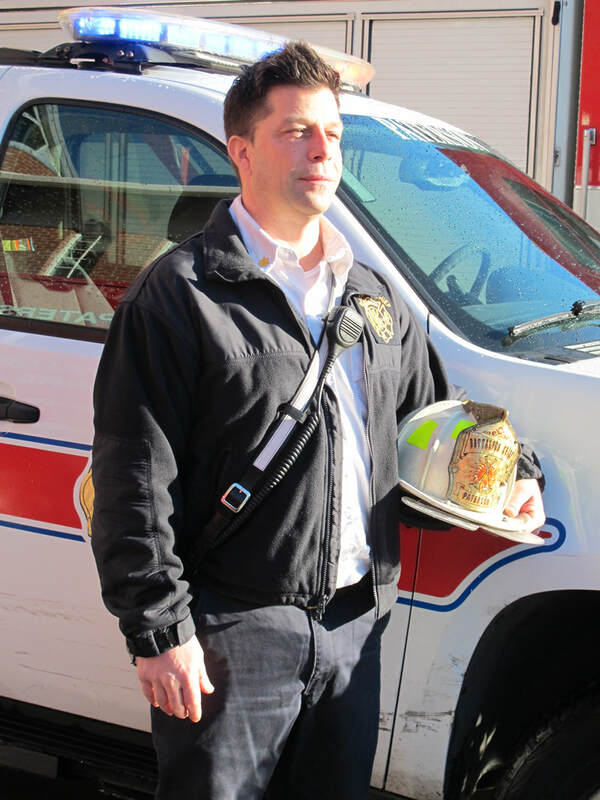 A new motorized gig ordered so that all 3 Chiefs now have motorized vehicles. 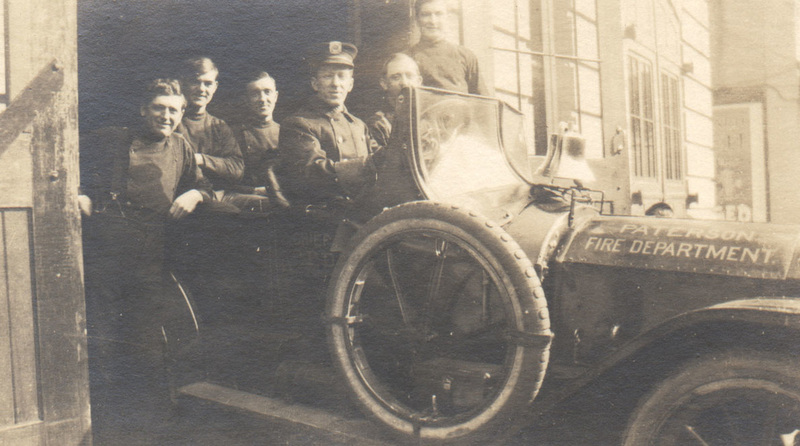 June 24, 1915: 3rd BC appointed: 1st Battalion at Headquarters, 2nd Battalion at Engine 9 on Main street (using horse pulled gig) and the 3rd BC to operate out of one of the Riverside houses (? 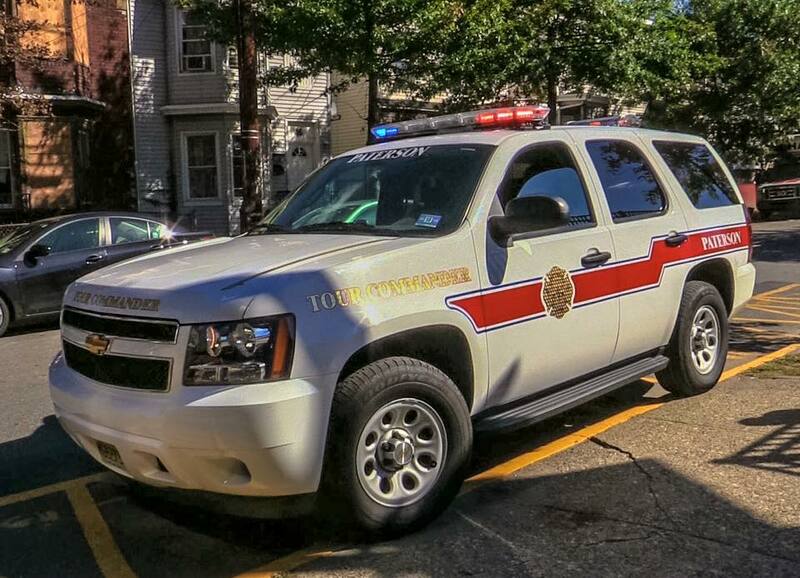 Engine 2 on Highland Street) using autocar gig. 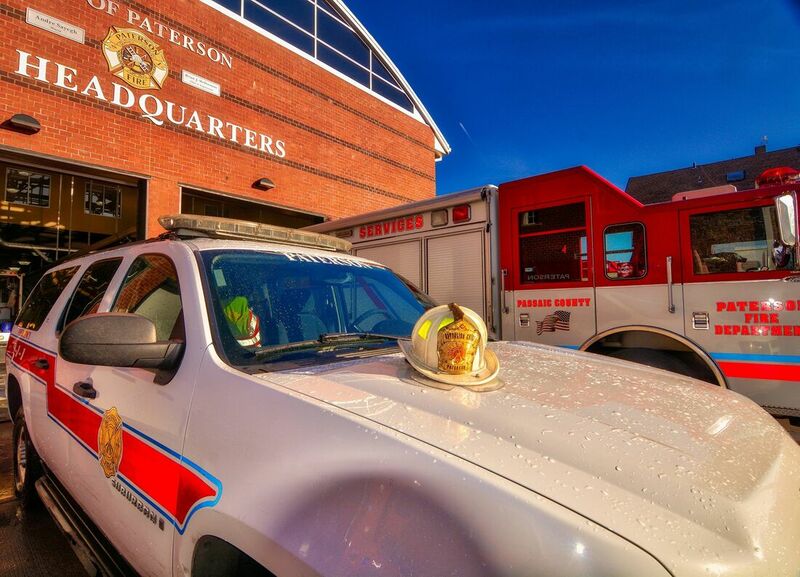 at ​115 Van Houten Street Headquarters. 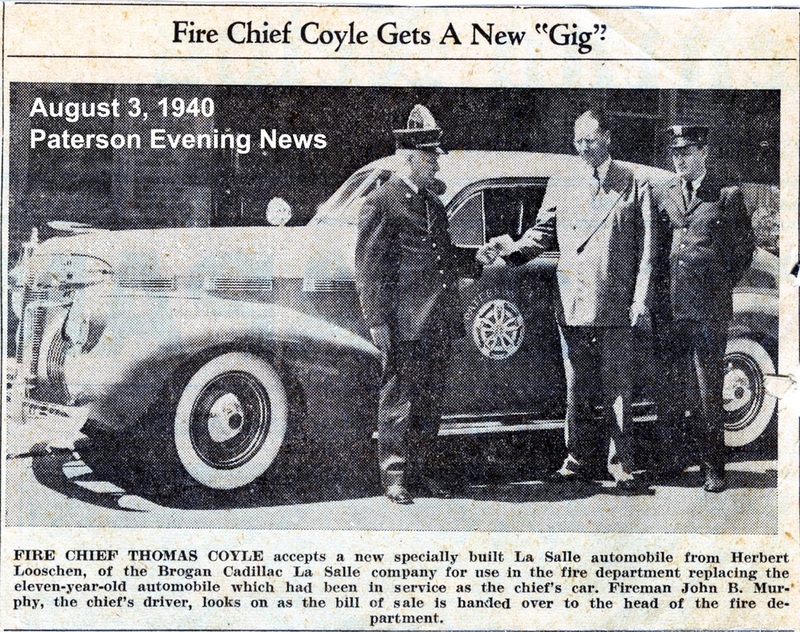 Chief Coyle is in the center car. 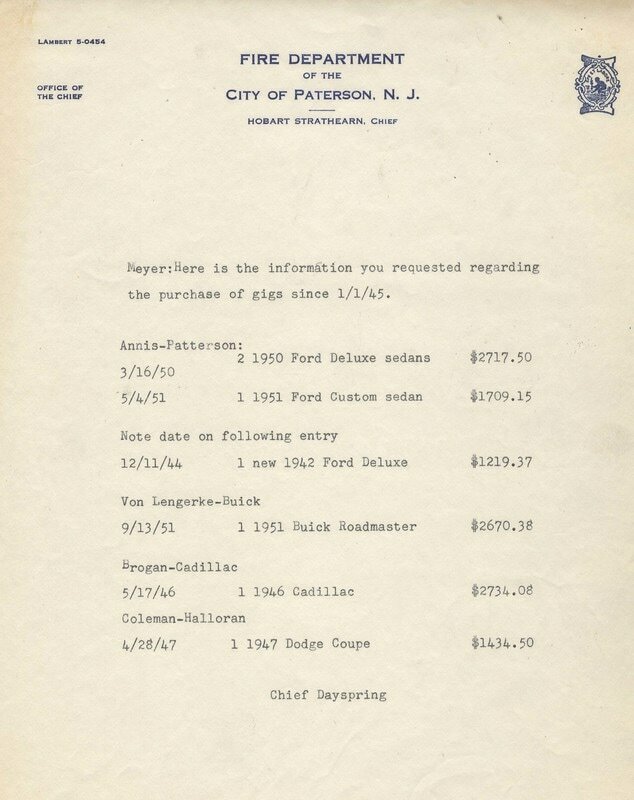 December 4, 1929: Below is a proposal from Brogan Cadillac-LaSalle for a new LaSalle Fleetwood Phaeton for $3010. 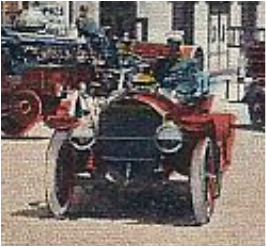 The car is pictured below. 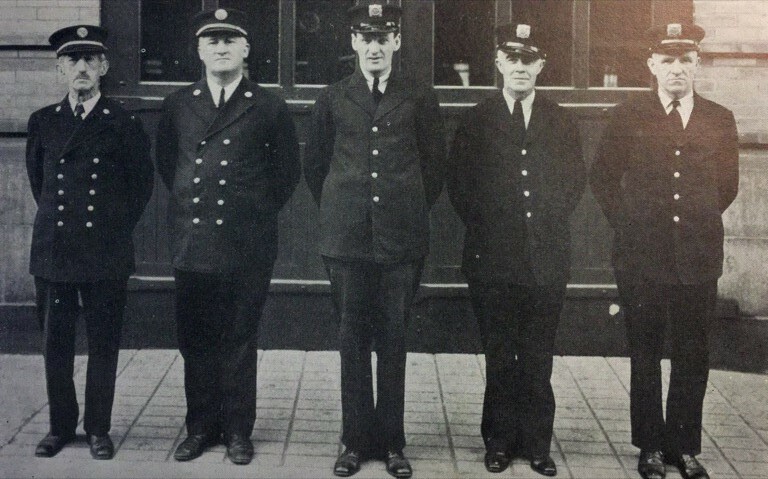 1935 photo of A Shift Battalion Chiefs Charles Nolan, Michael Comer, and drivers John Murphy, James Smith, and Edward A. Hancock. 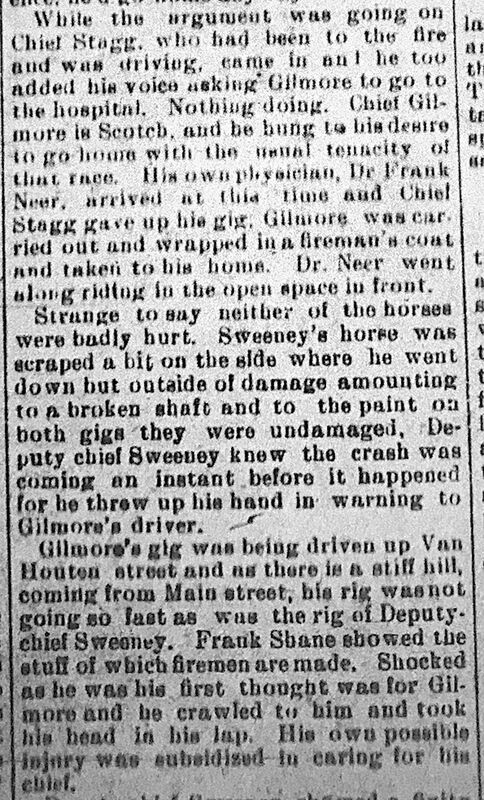 115 Van Houten Street. 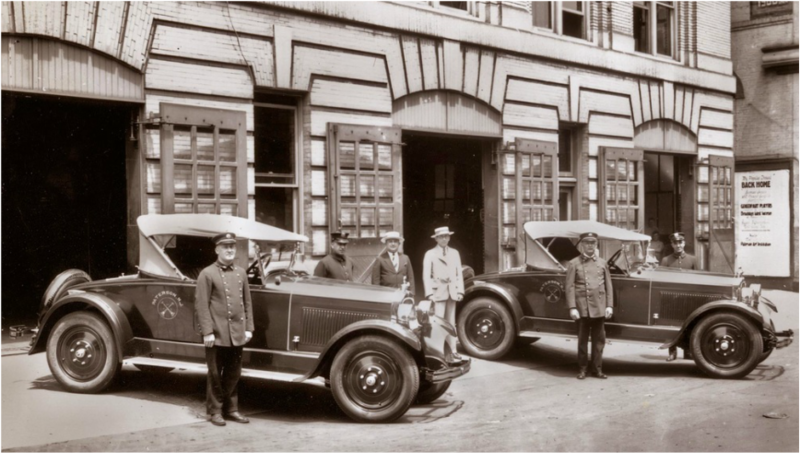 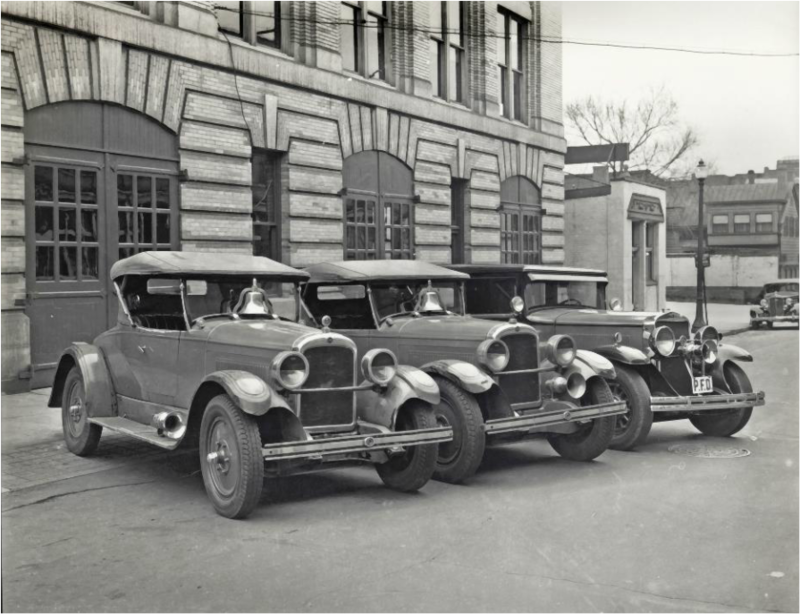 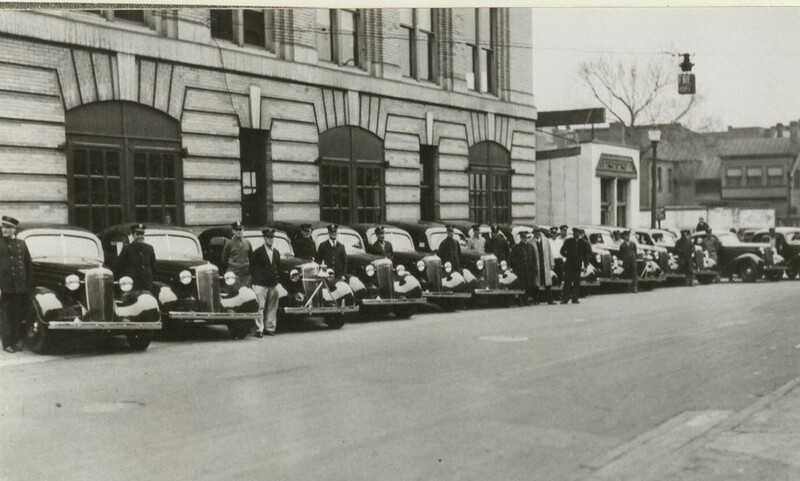 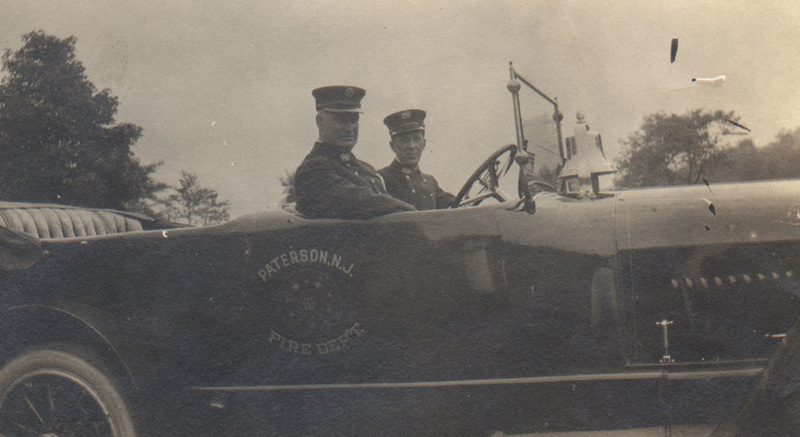 Battalion Chief, Deputy Chief and Head Chief Engineer gigs circa 1936 parked outside Headquarters at 115 Van Houten Street. 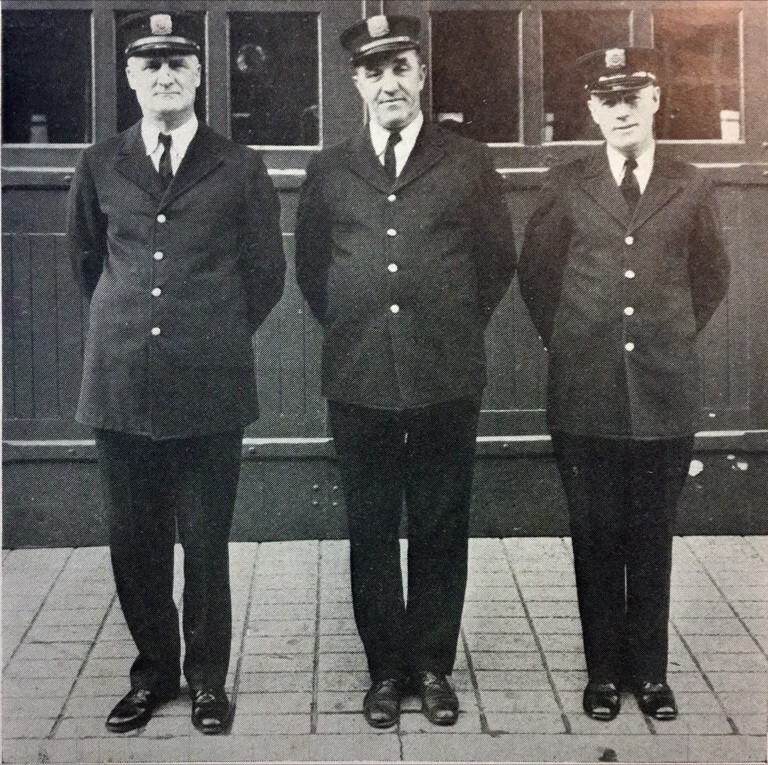 This photo was in the 1936 Ball book. 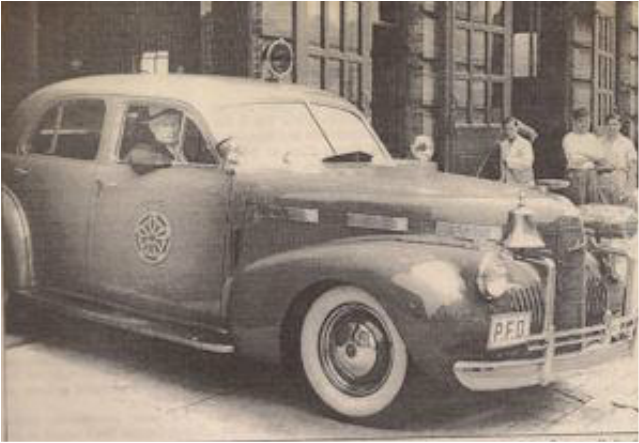 Chief Thomas Coyle in a 1939 LaSalle with white-wall tires and bell and siren mounted on a special front bumper mount. 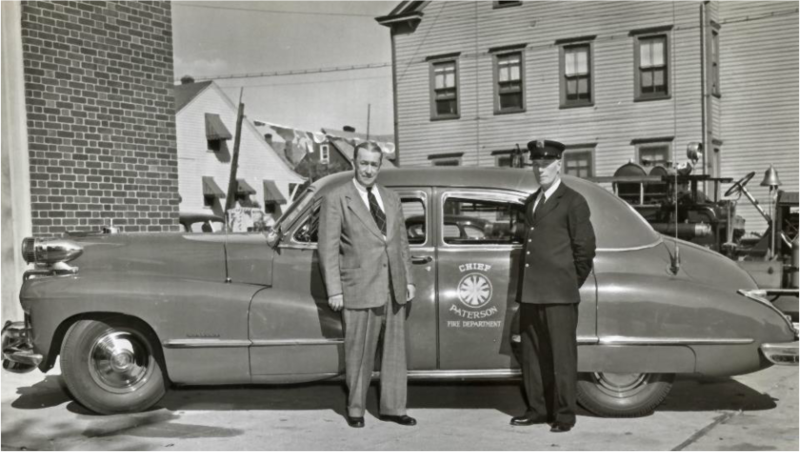 Chief Engineer James Troy and Driver Joseph Dowd with Cadillac (received May 17, 1946 from Brogan Cadillac at a cost of $2734)) parked on apron at 37 23rd Avenue, Home of Engine Company 13, whose Ahrens Fox is seen in background. 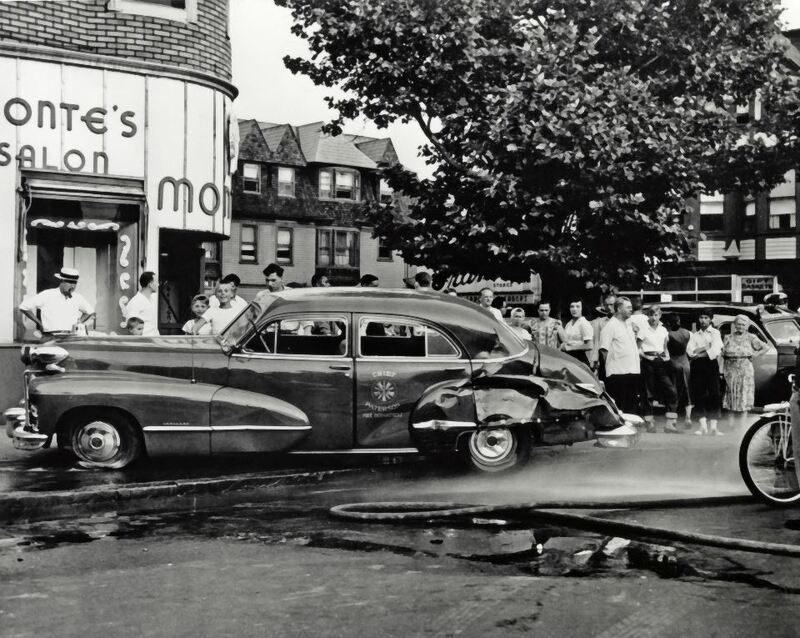 ​Photo is late 1940s. 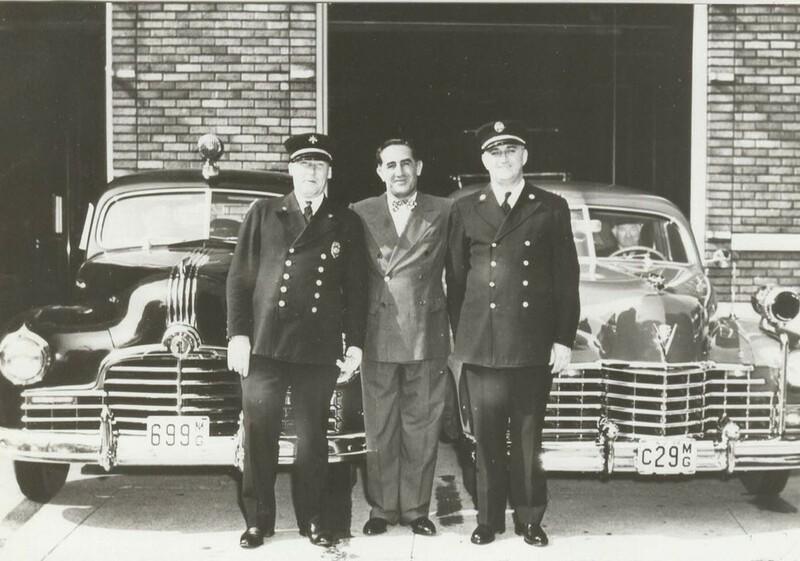 This car was quartered at Engine Company 4 on Slater Street as late as 1951. 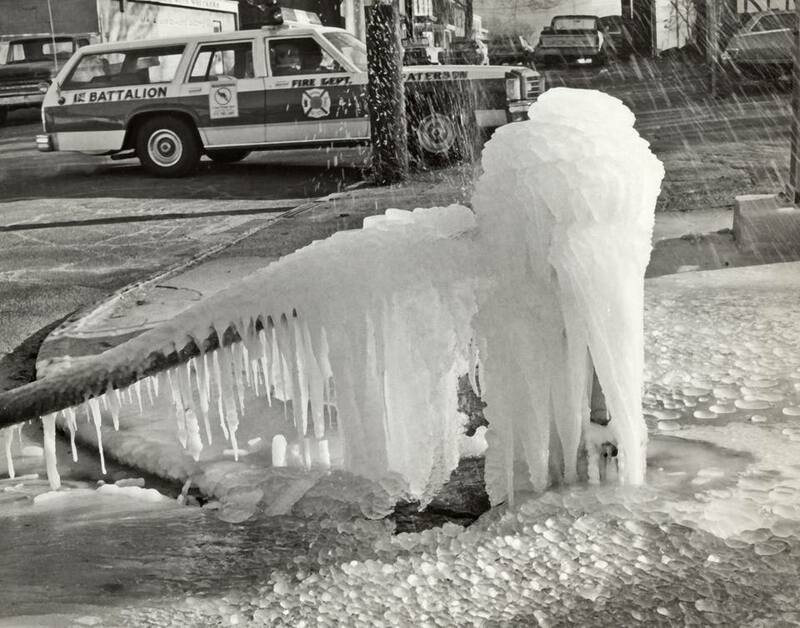 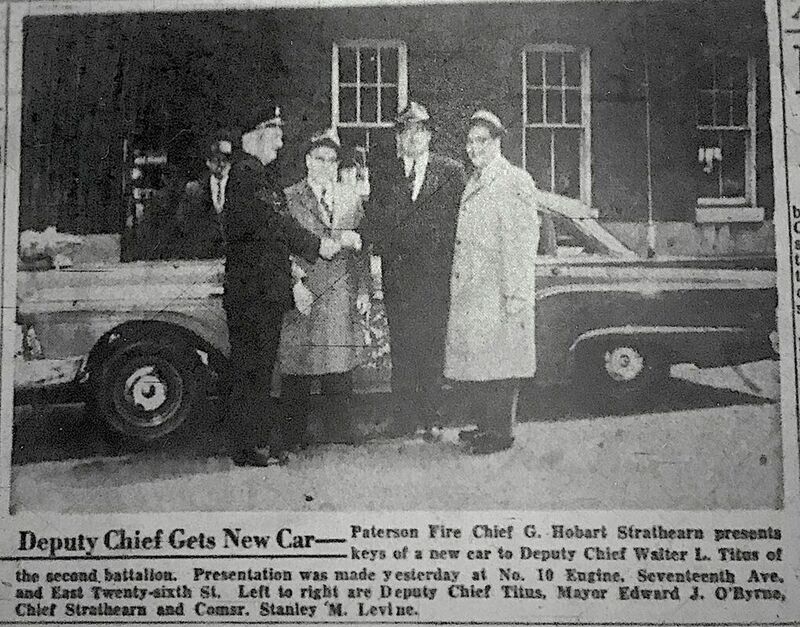 Circa 1950: Chief's Cadillac outside 115 Van Houten Street. 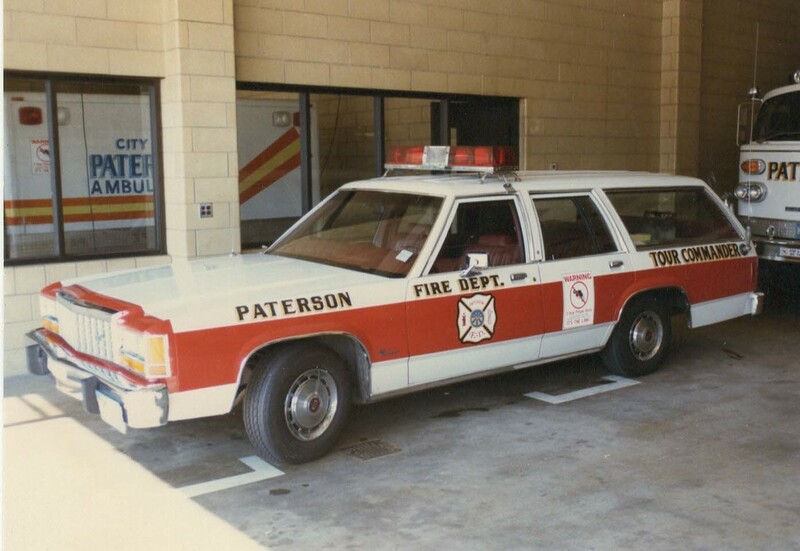 Note Truck Company 2 Ahrens Fox aerial in its center bay. 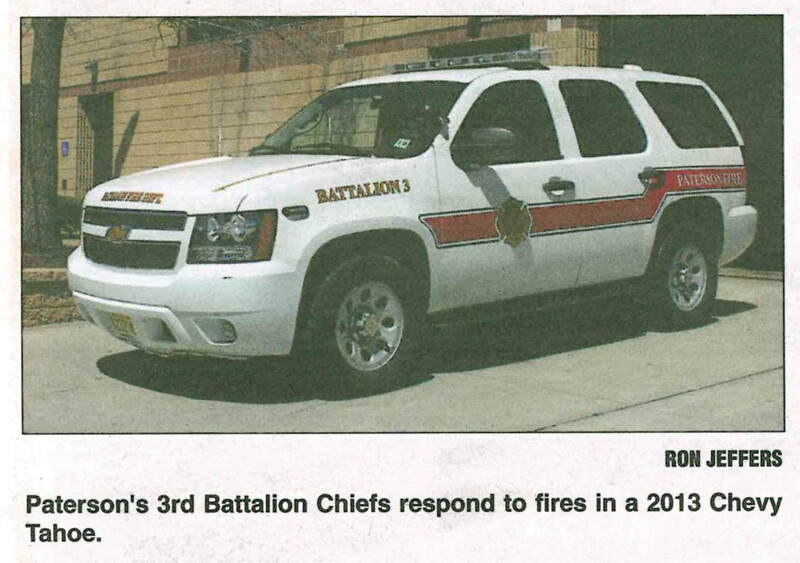 Chiefs aides outside headquarters at 115 Van Houten Street. 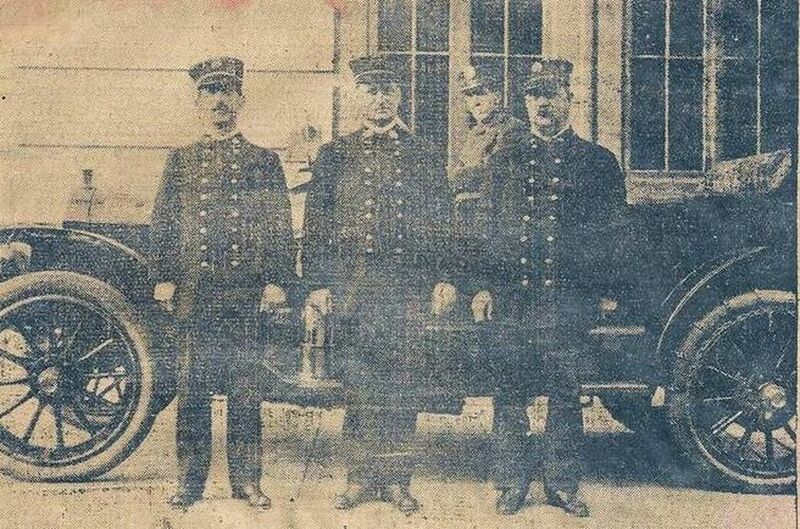 Left-right: Mario Colatarci, Joseph Leitner, John B. Murphy, Edward Westhoven, Edward Hancock, William Evans, Charles Wullard, William Comer (future Chief Engineer), James Kelley, Raymond Carr. 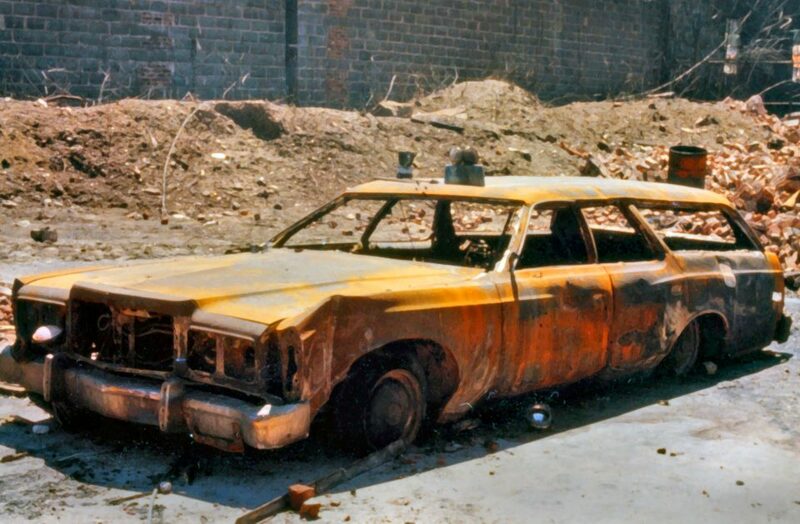 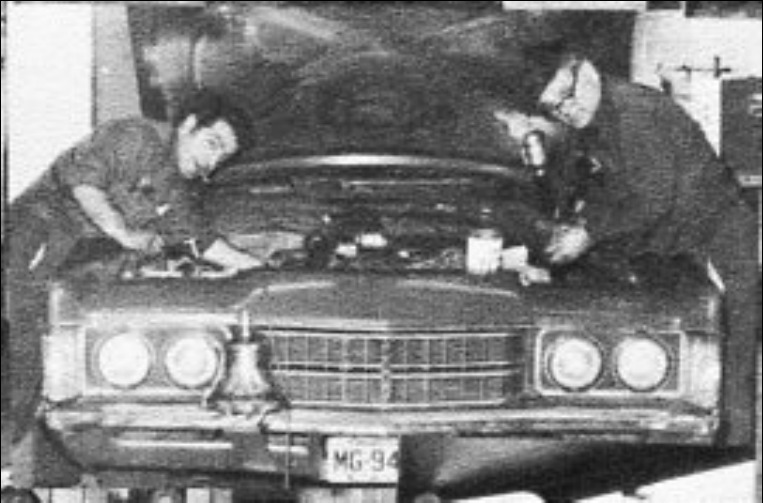 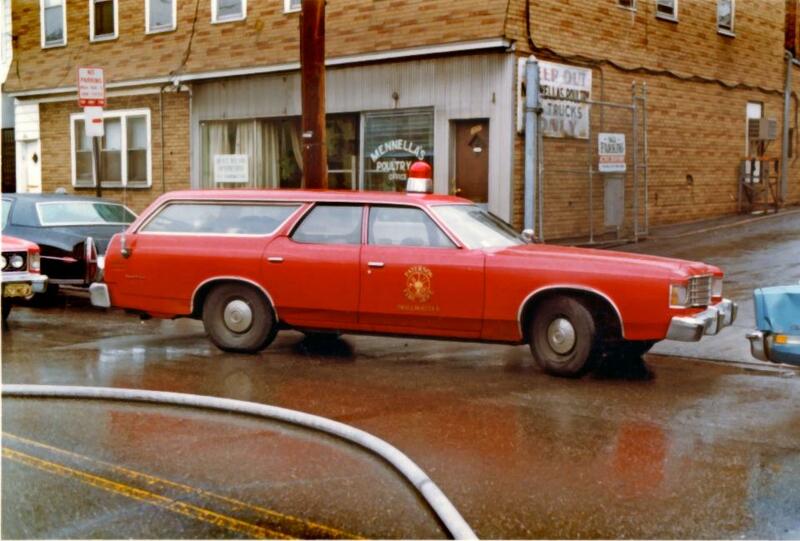 1964 Fire: Chevrolet Wagon acquired February 9, 1961 - originally used by Car 74 in 3rd Battalion. 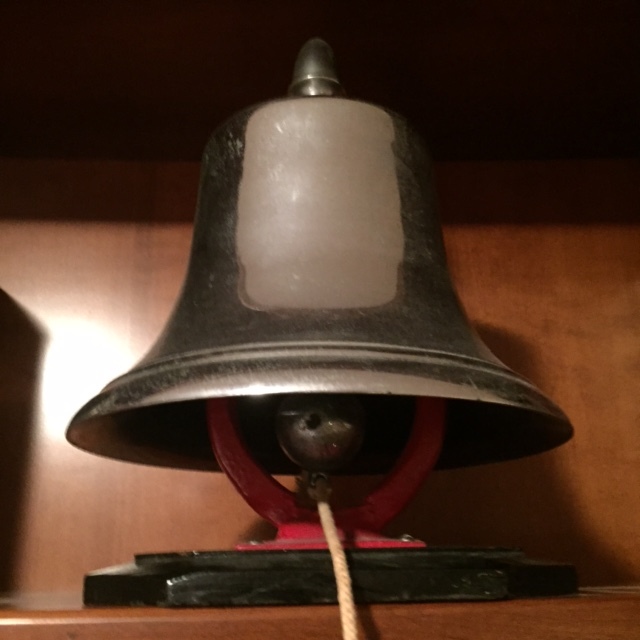 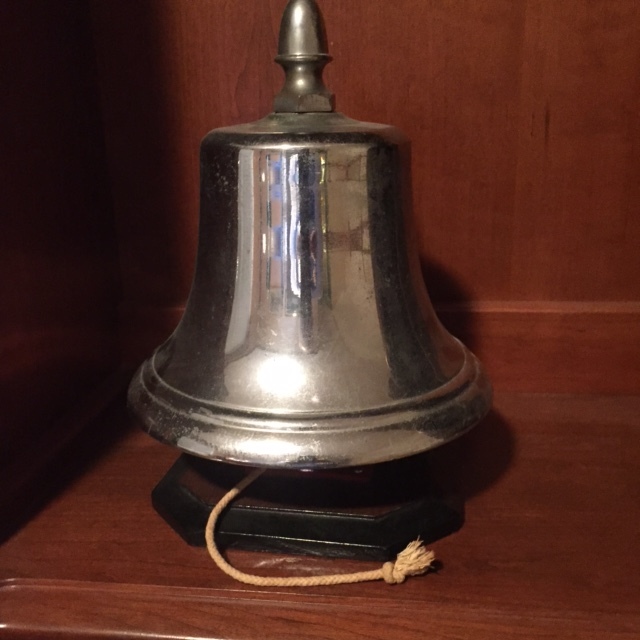 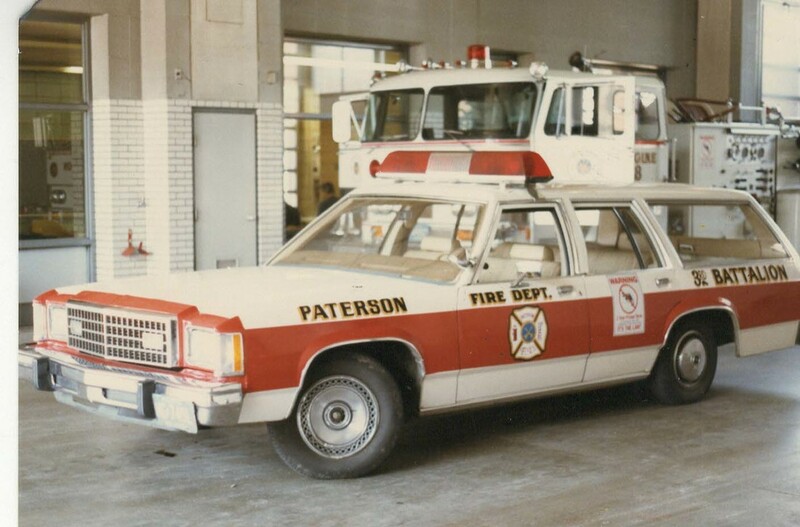 Transferred to Fire Prevention February 1964 and sold March 10, 1973. 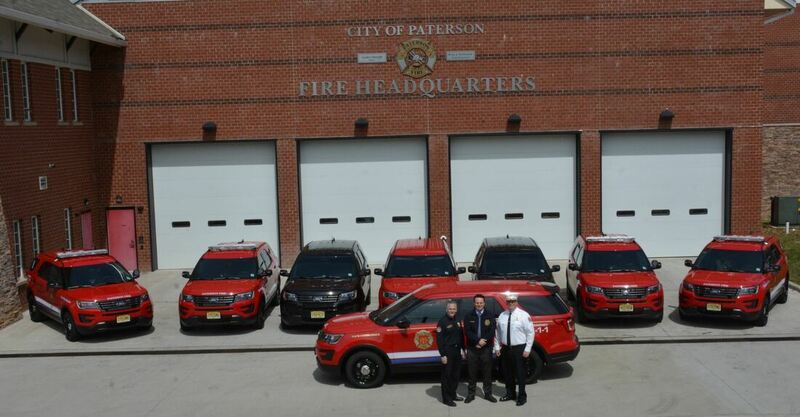 Left: Front to back: Assistant Chief Joseph Dayspring, Assistant Chief Dan Carroll, Deputy Chief George Findlow, Deputy Chief Michael Weiss and Assistant Chief Leo Fitzsimmons. 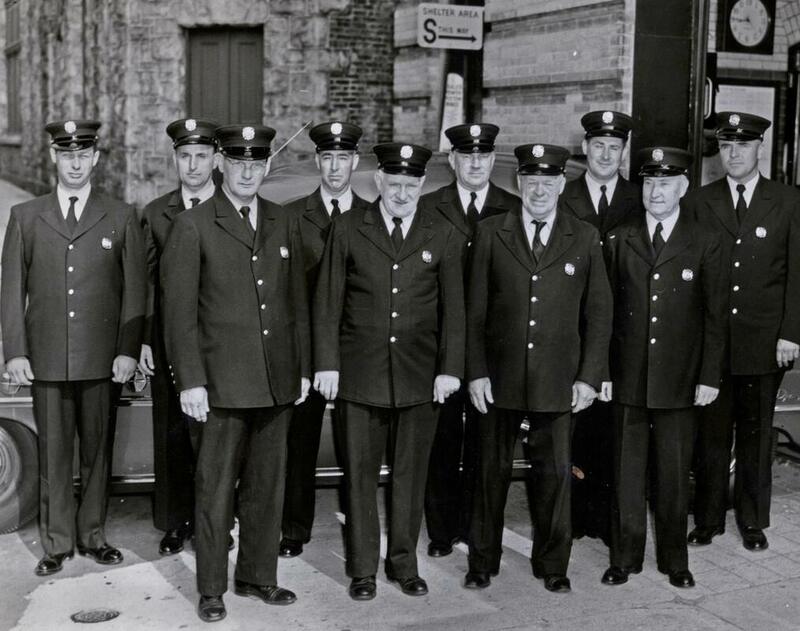 Right side rear to front: Chiefs aide Charles Simpson, Ray Carr, John Palonis, Eddie Westhoven, Joe McCabe, William Savage and Tony Mercadante. 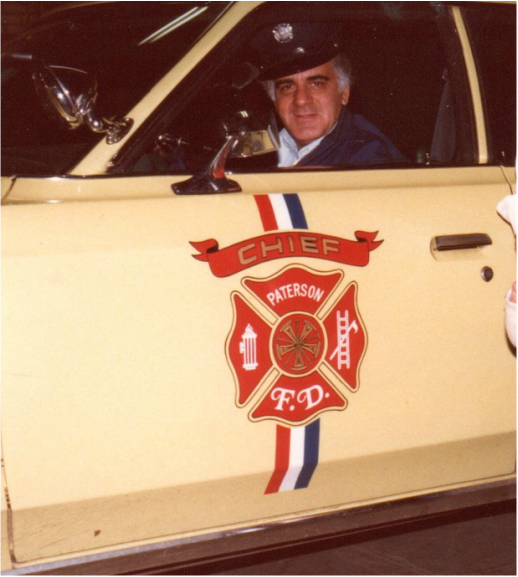 November 7, 1974: The position of Chiefs aides are eliminated for Assistant and deputy Chiefs. 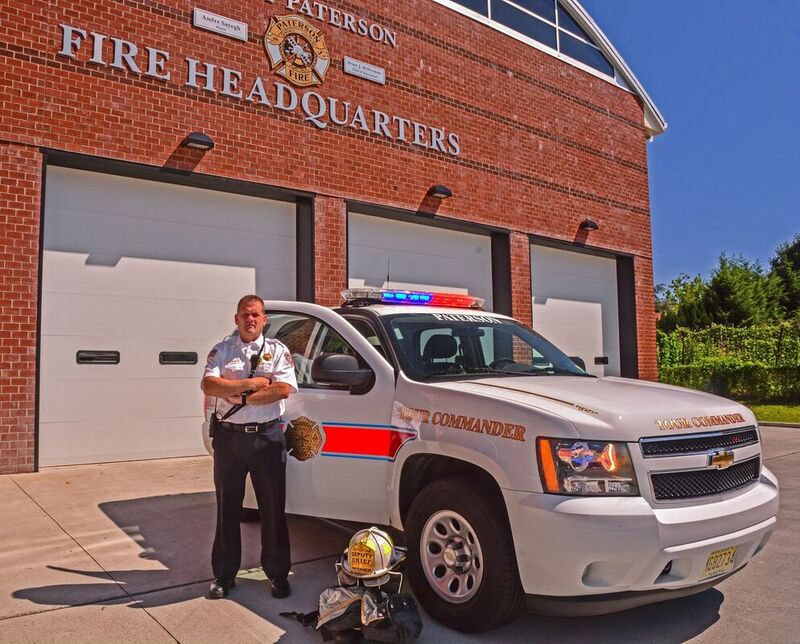 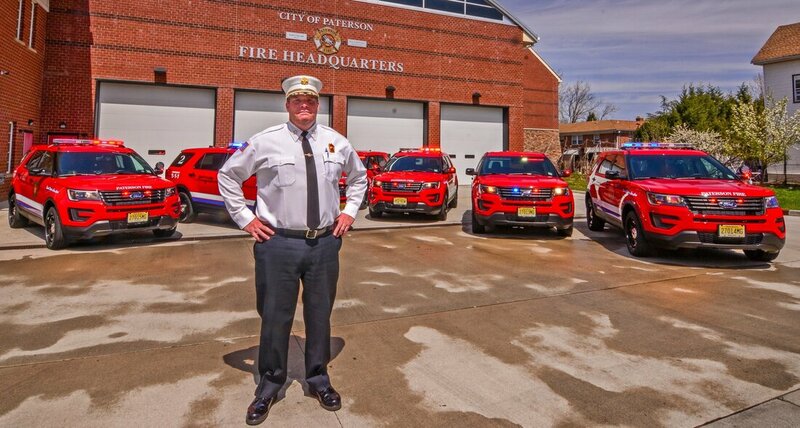 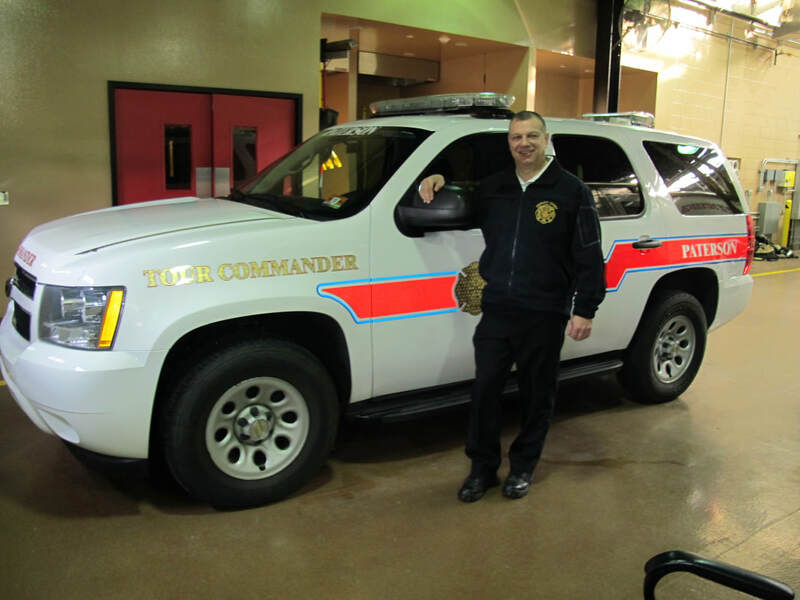 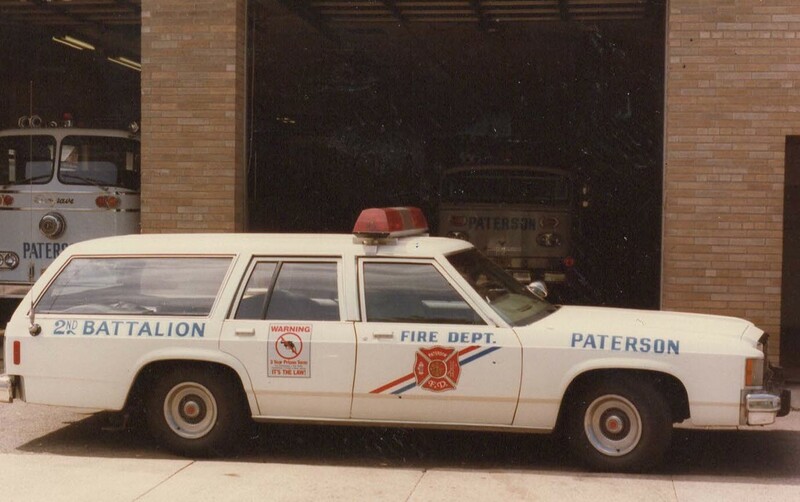 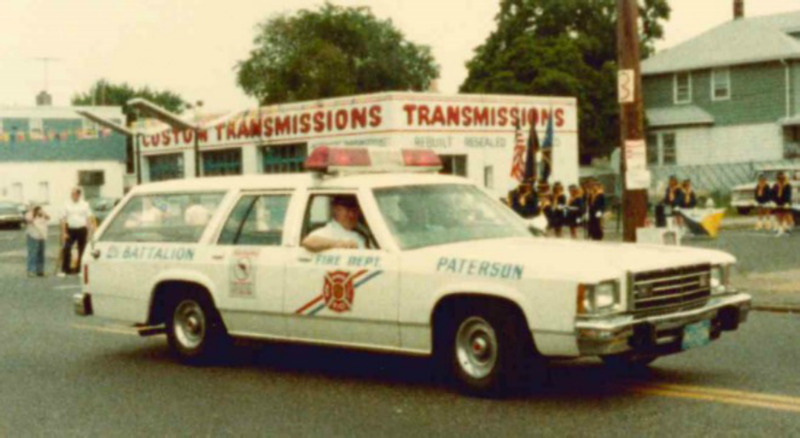 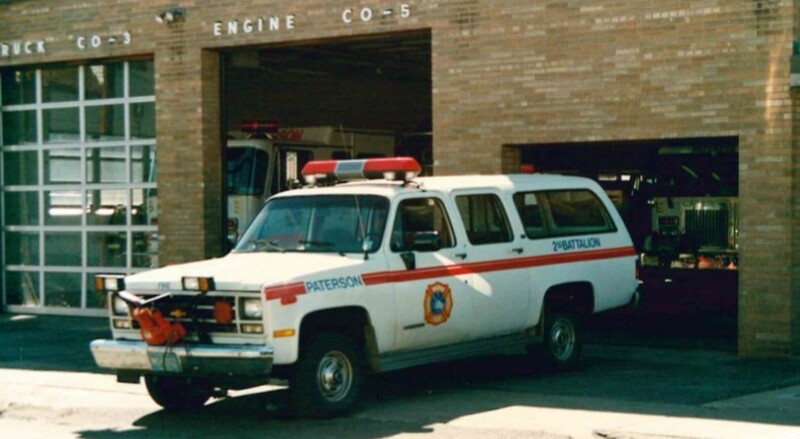 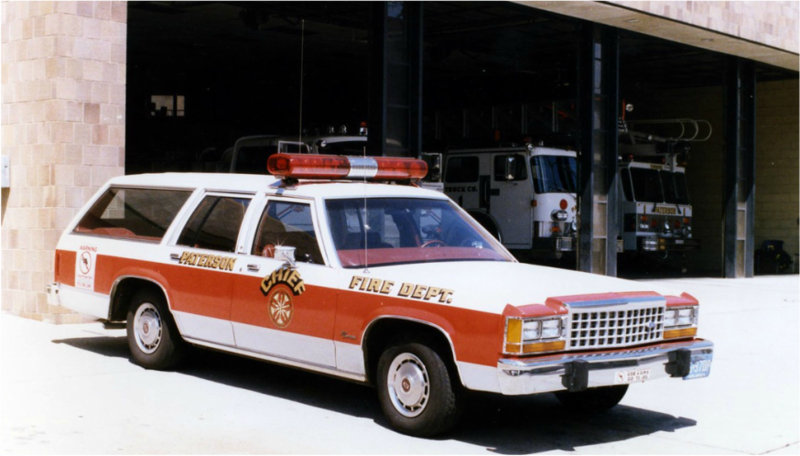 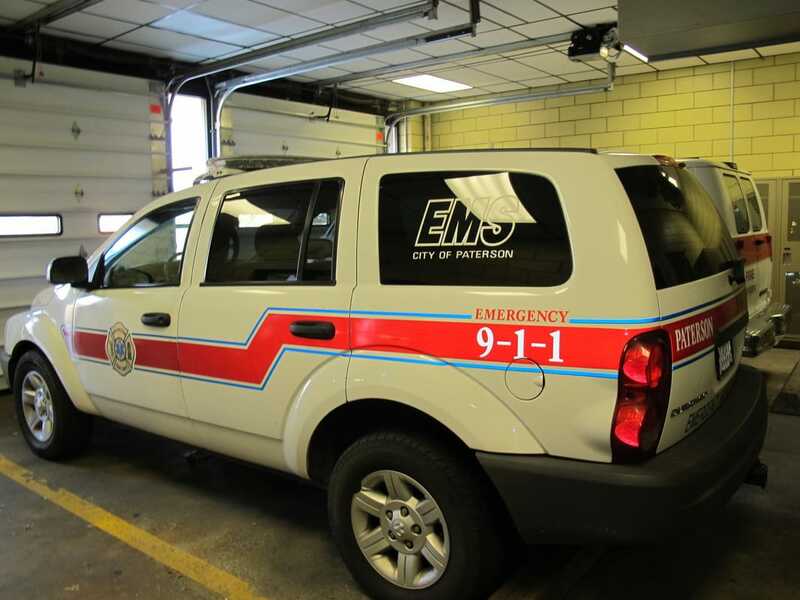 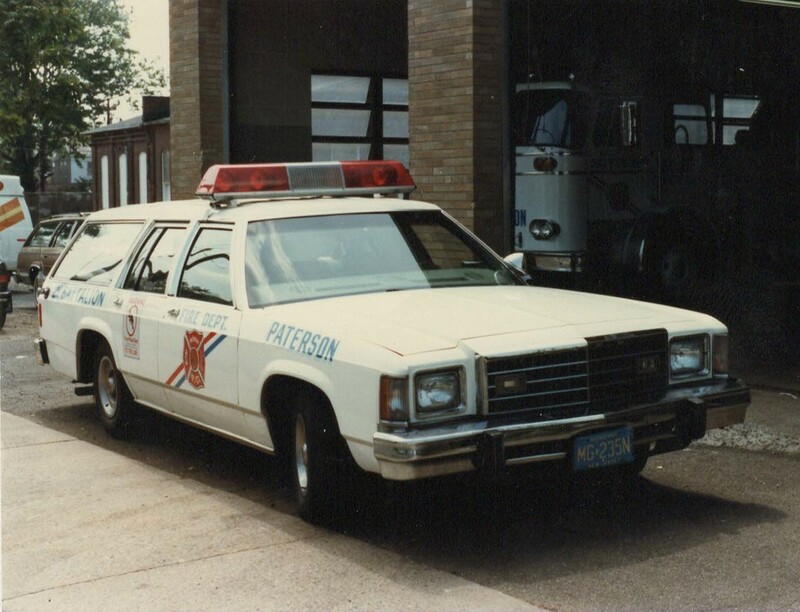 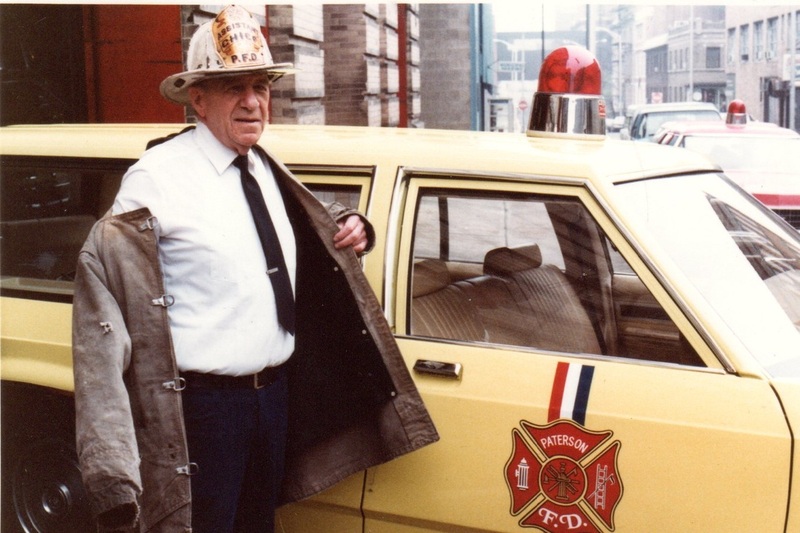 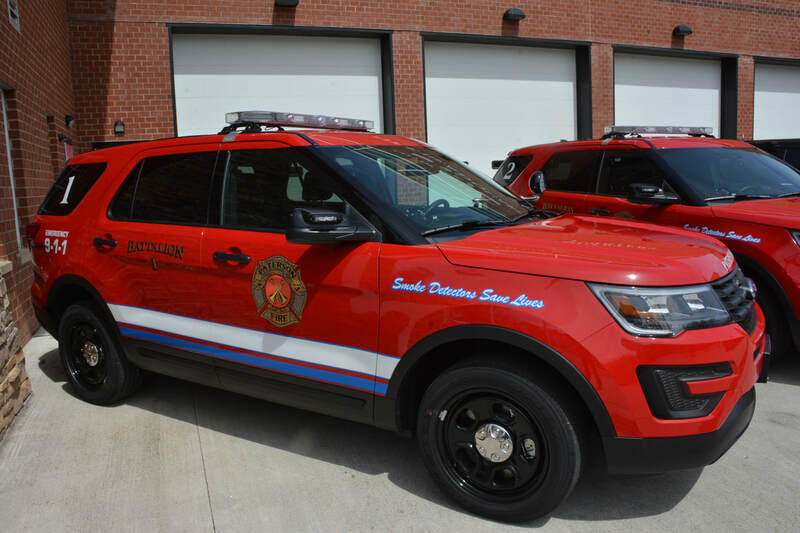 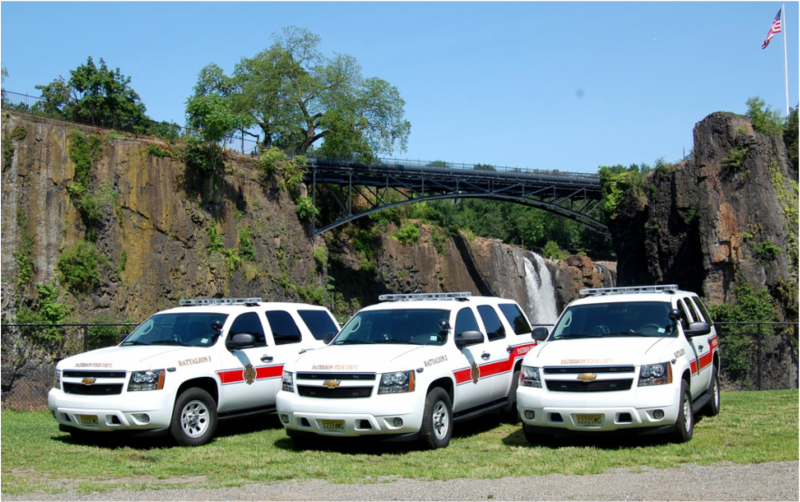 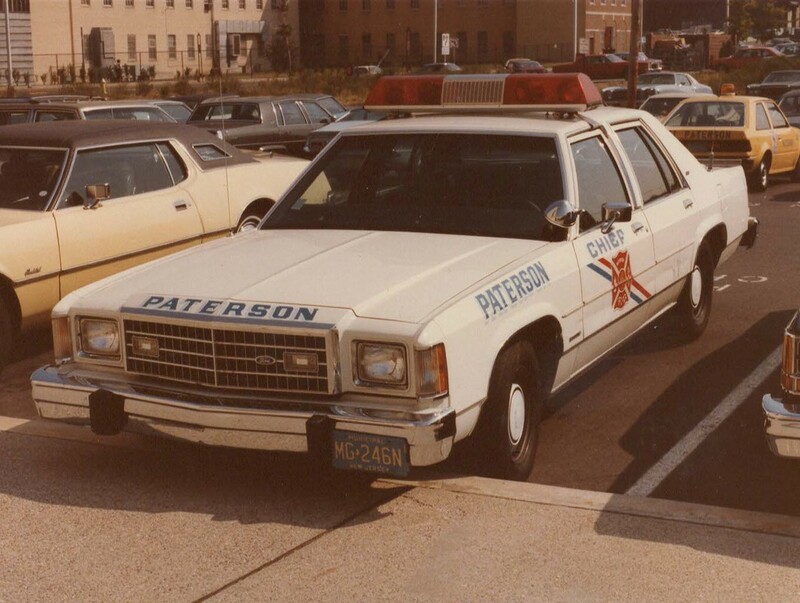 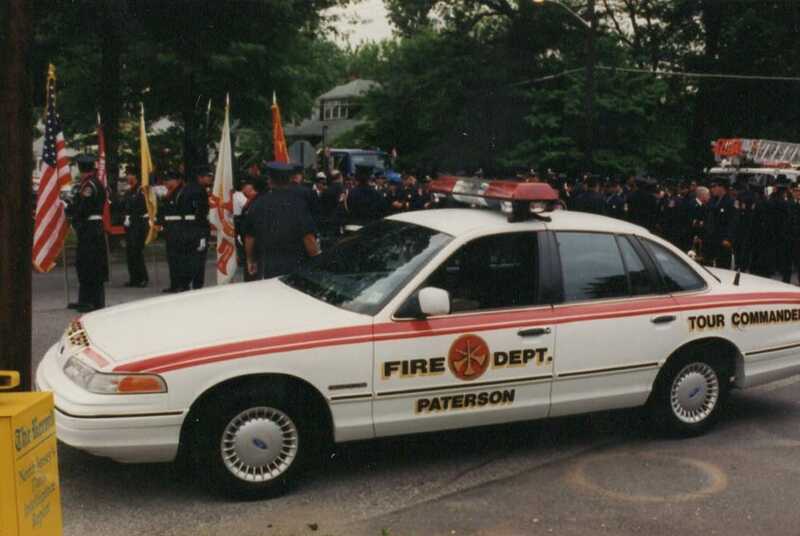 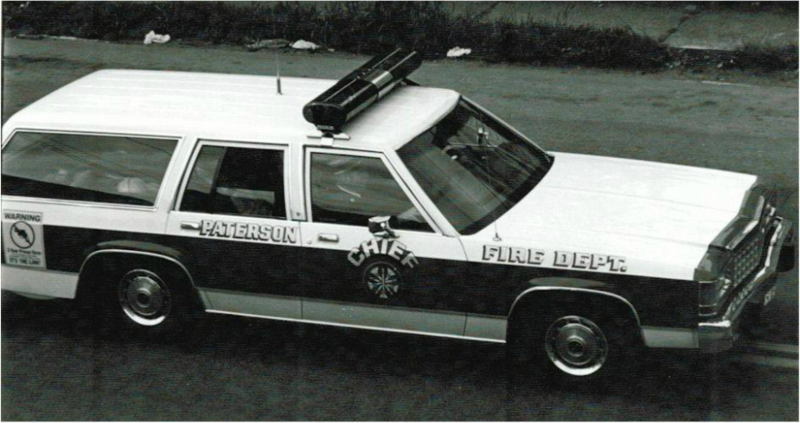 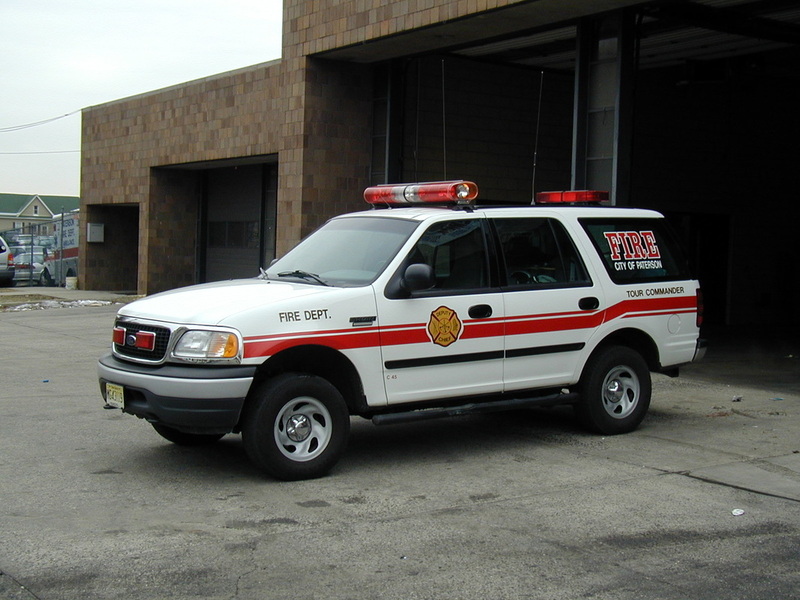 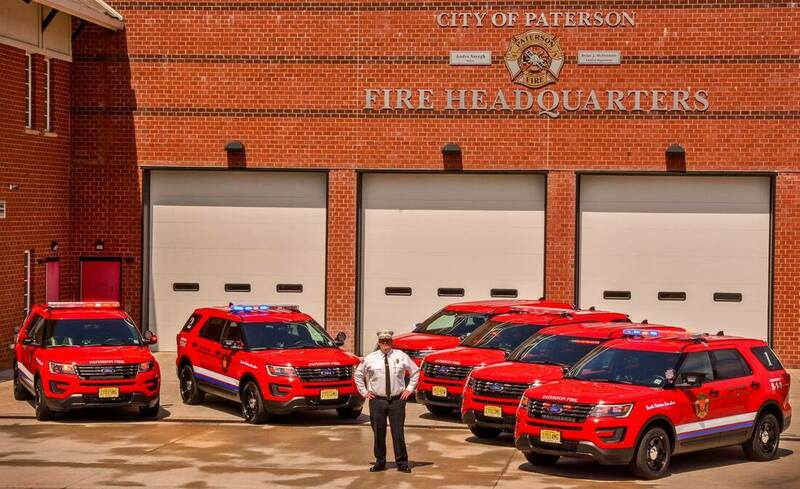 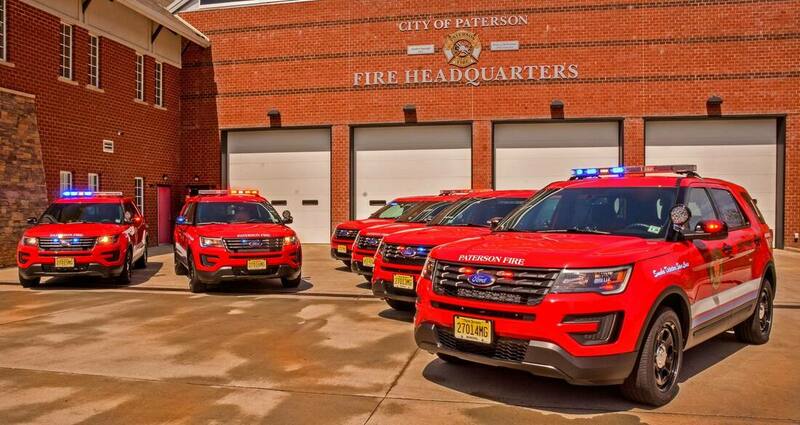 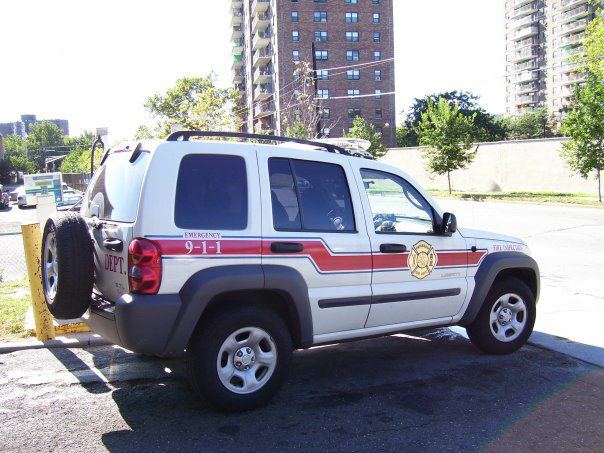 May 1991: PFD purchased four Chevrolet Suburbans: 3 going to battalion chiefs 1 to ambulance supervisor. 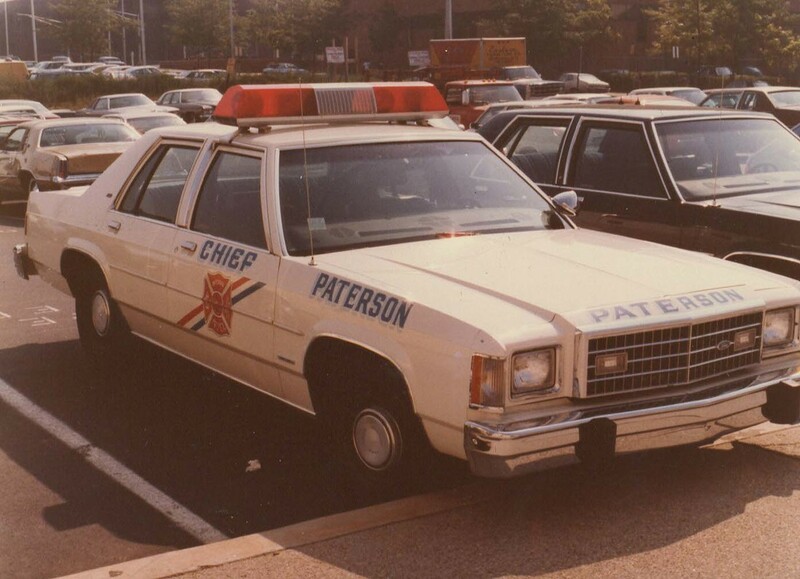 This ended the era of chief's using station wagons. 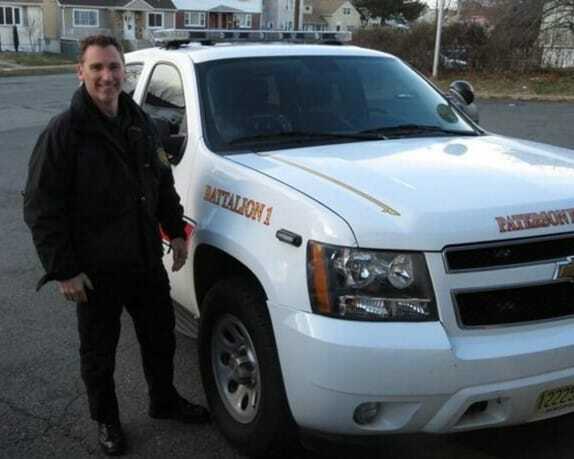 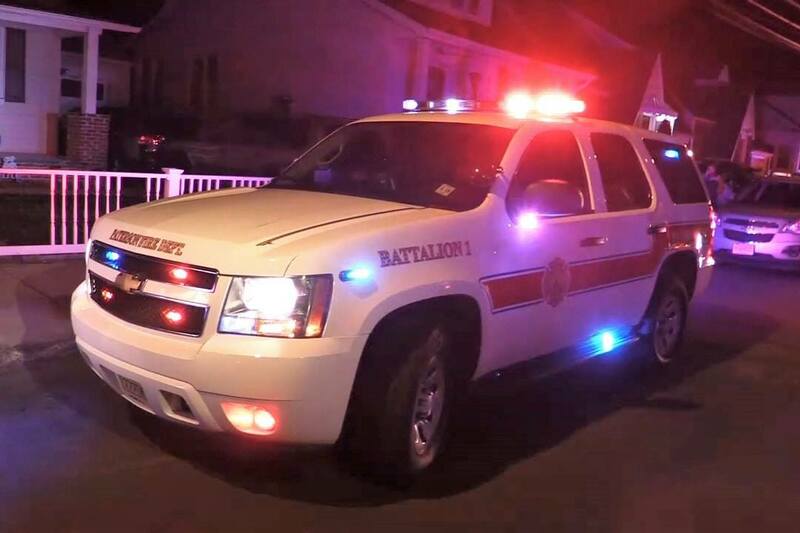 2014 Ball Book Battalion 2, Car #74, Tour 3. 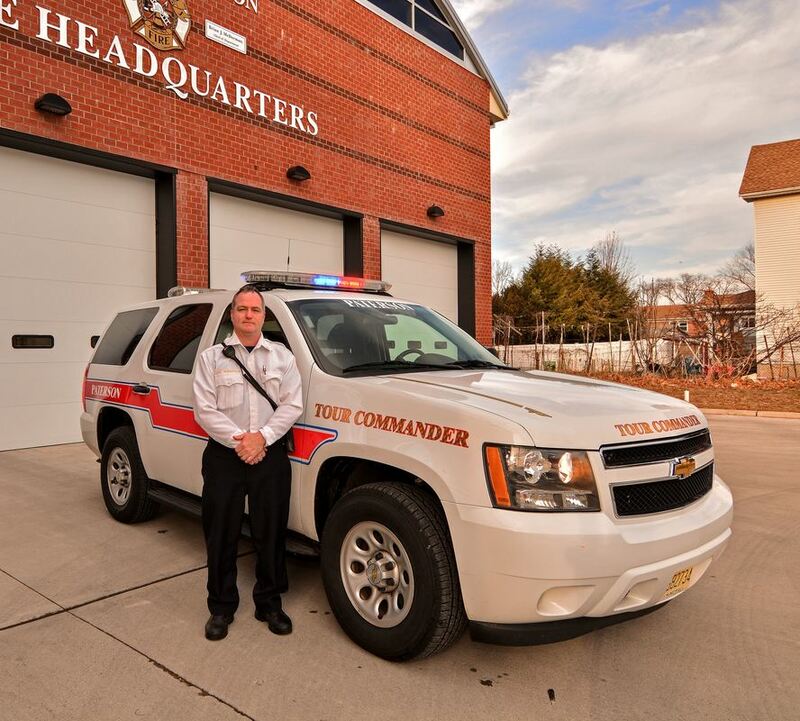 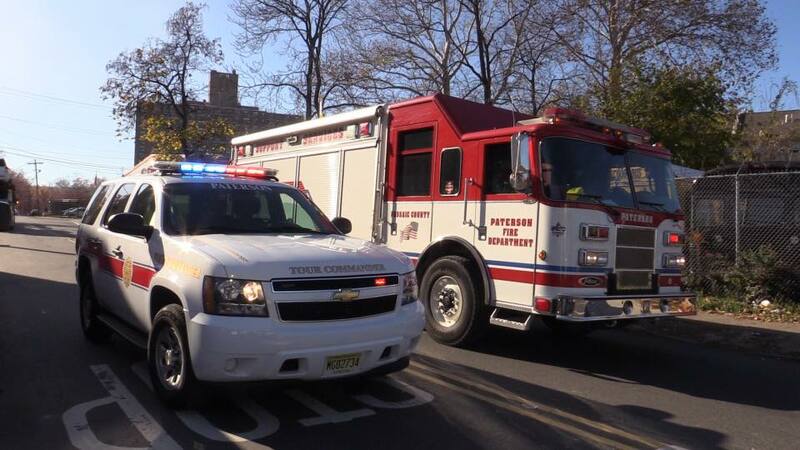 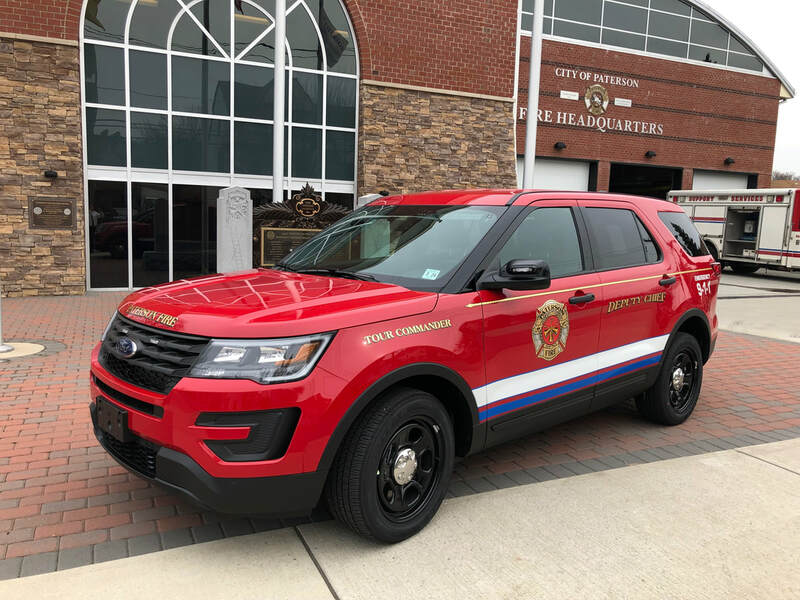 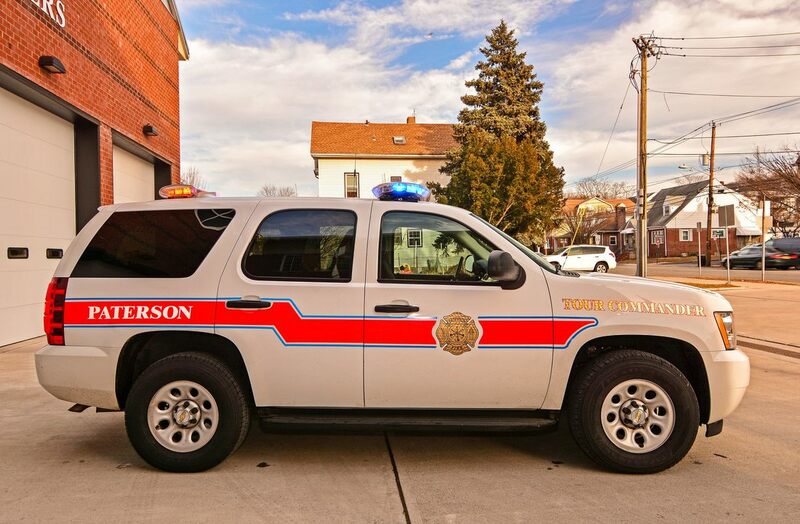 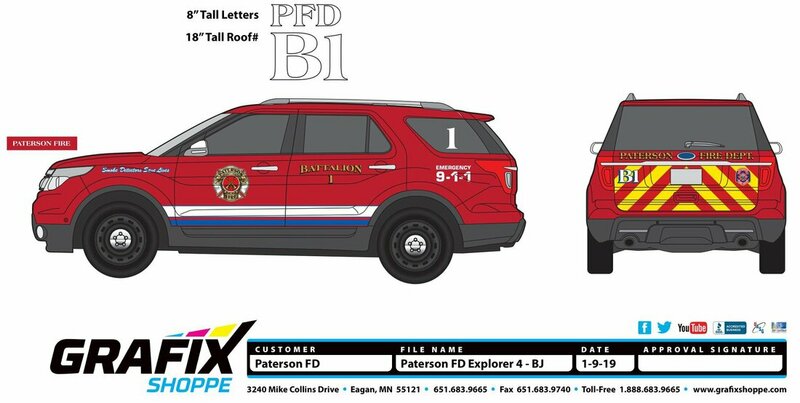 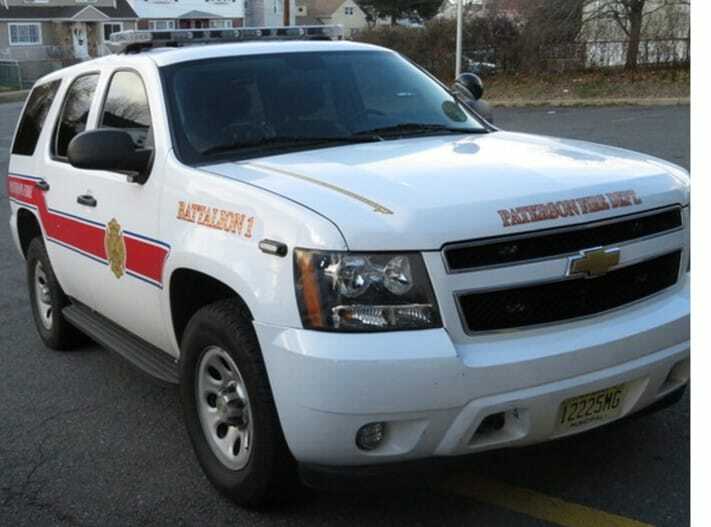 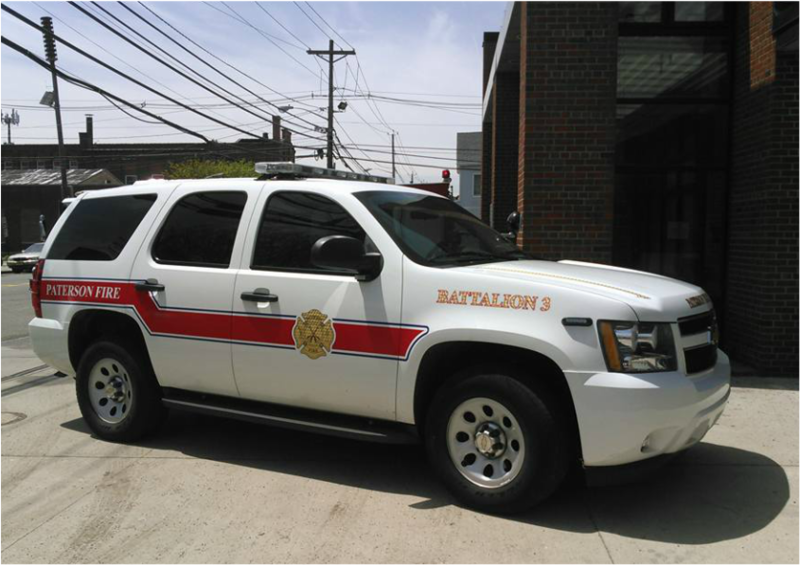 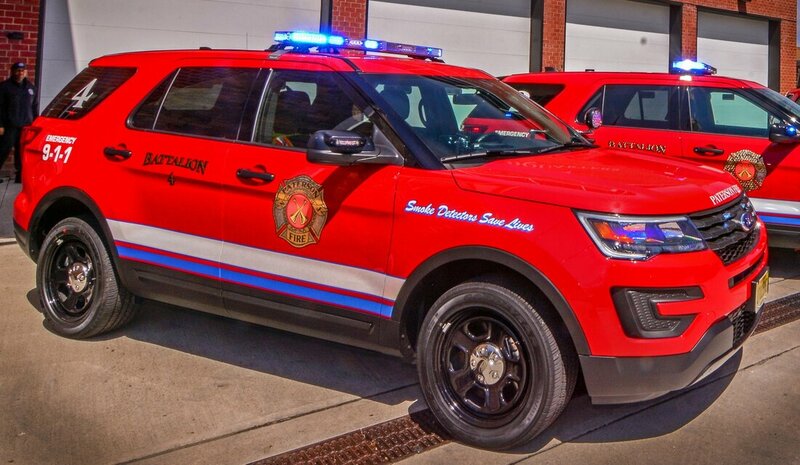 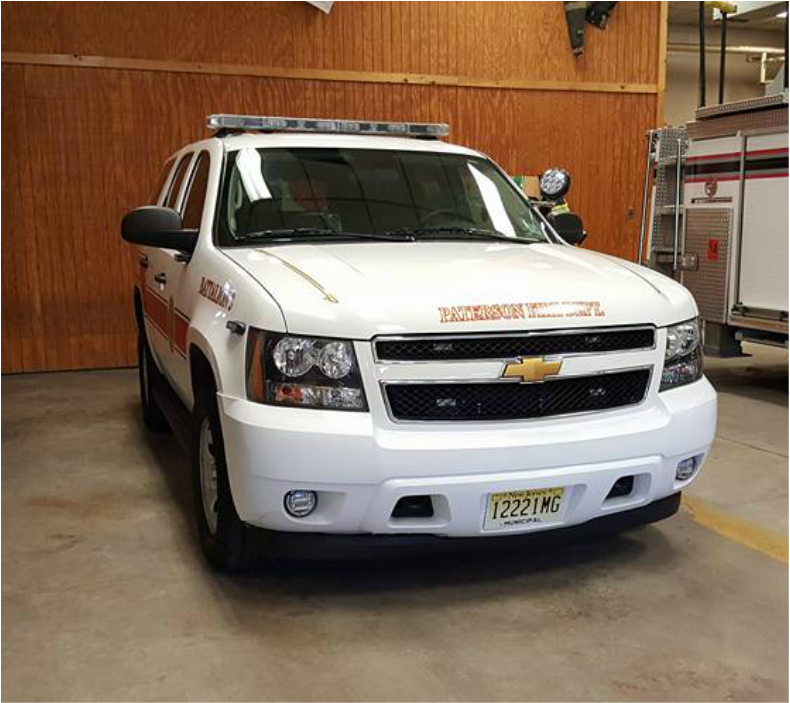 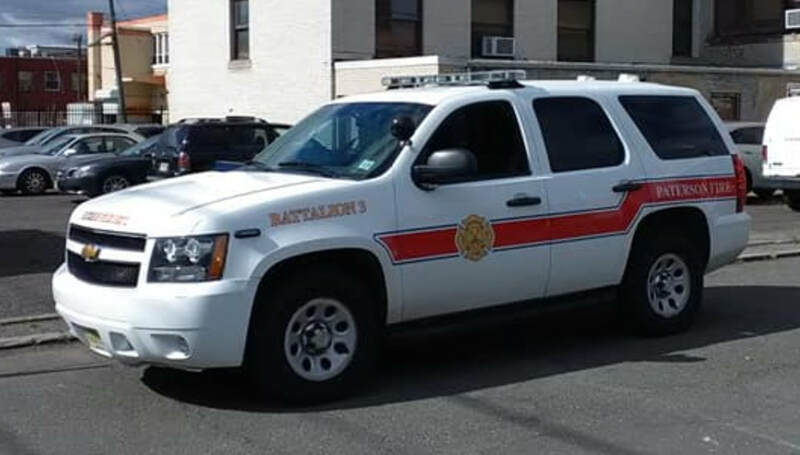 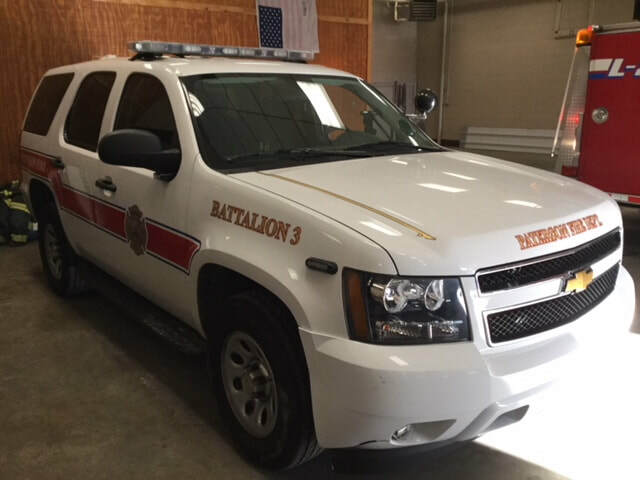 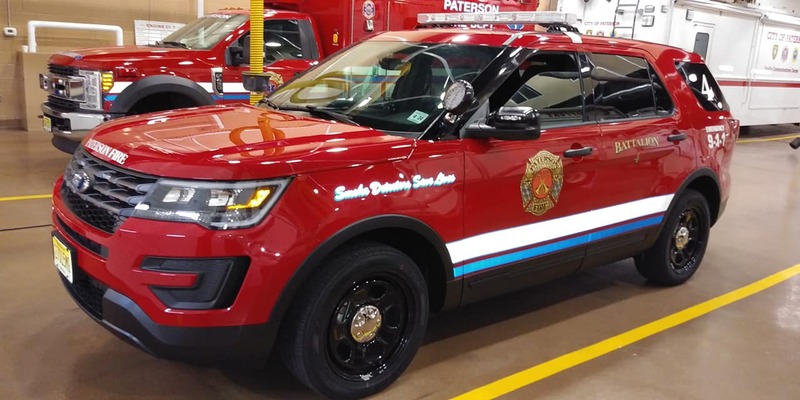 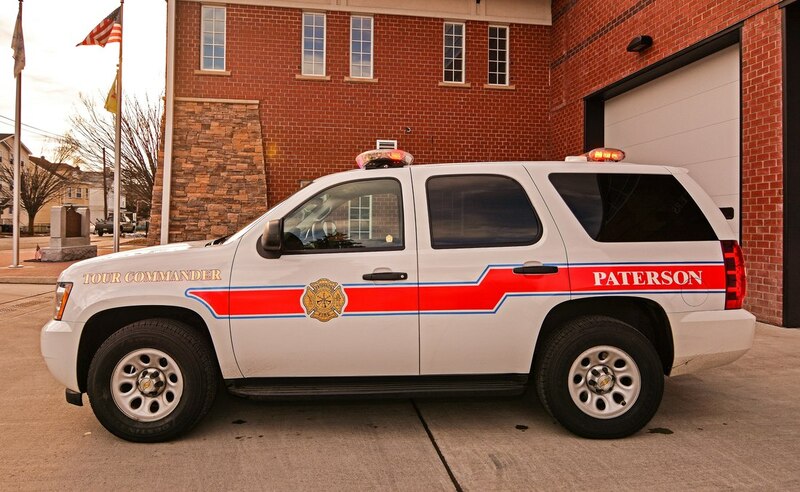 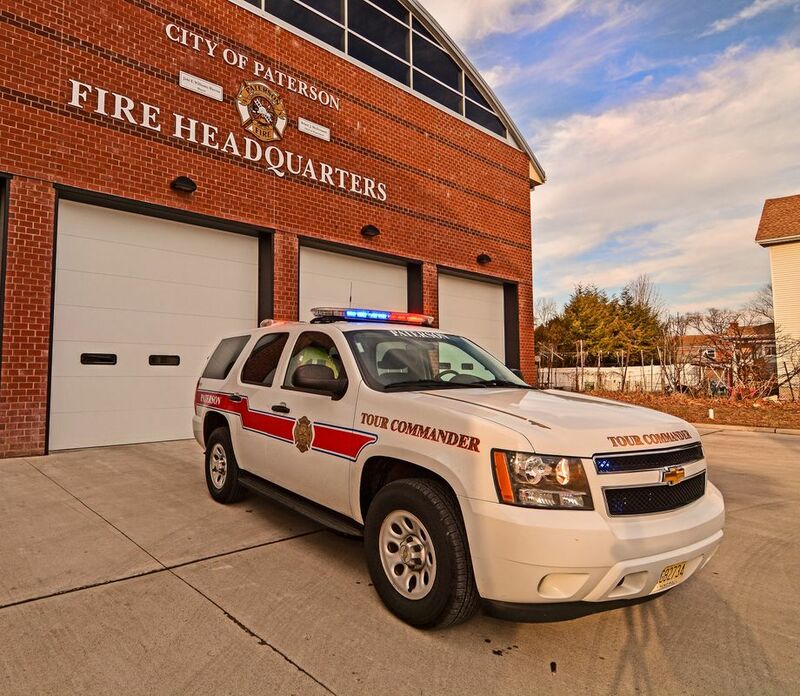 January 4, 2018: Battalion 4 opens at McBride Avenue Headquarters and covers center city, Stoney Road and most of Hillcrest. 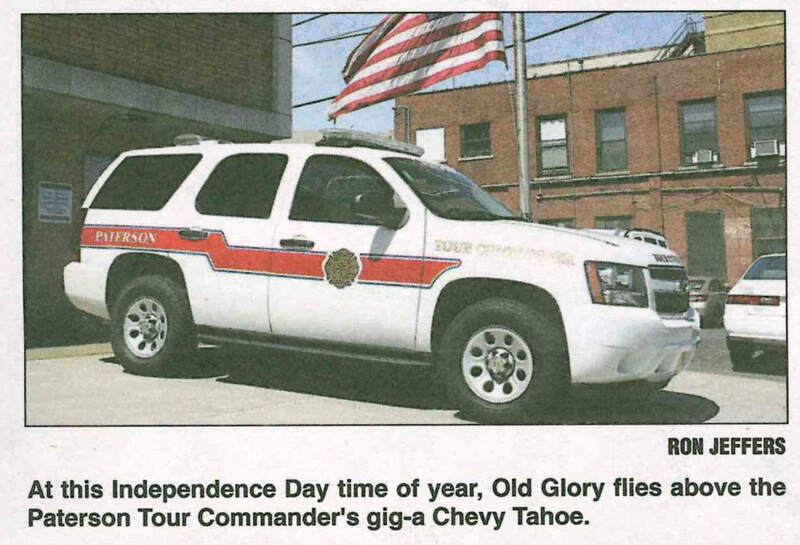 March 29, 2019: New Tour Commander Gig - lights are in the upper windshield.